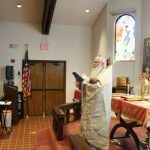 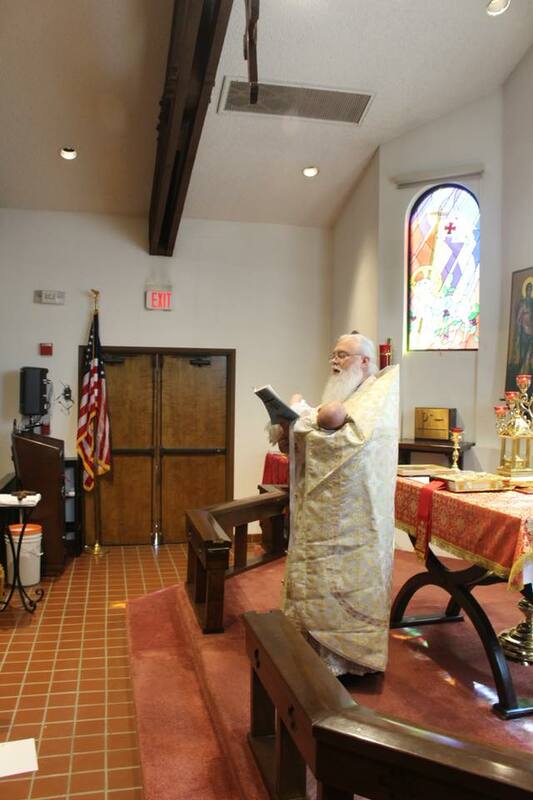 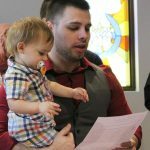 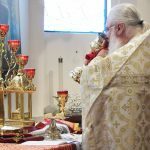 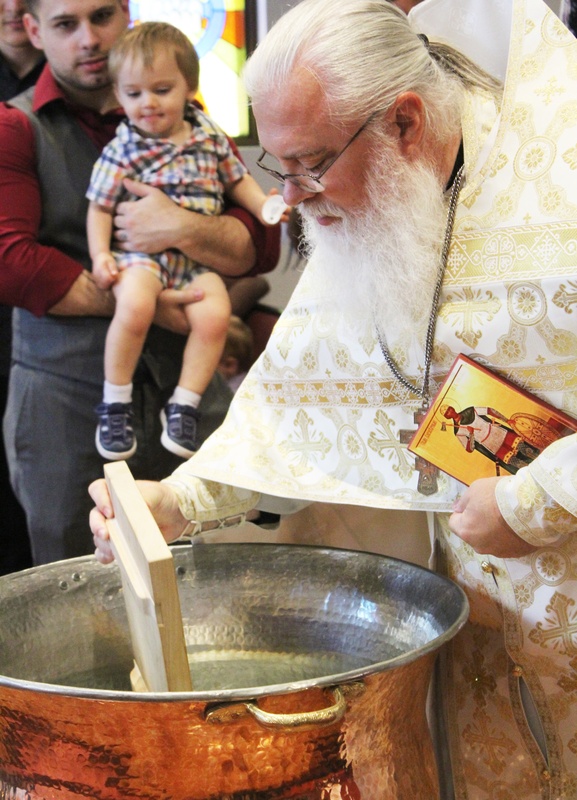 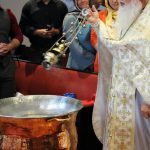 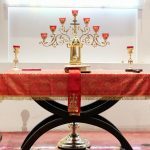 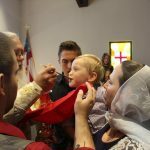 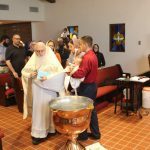 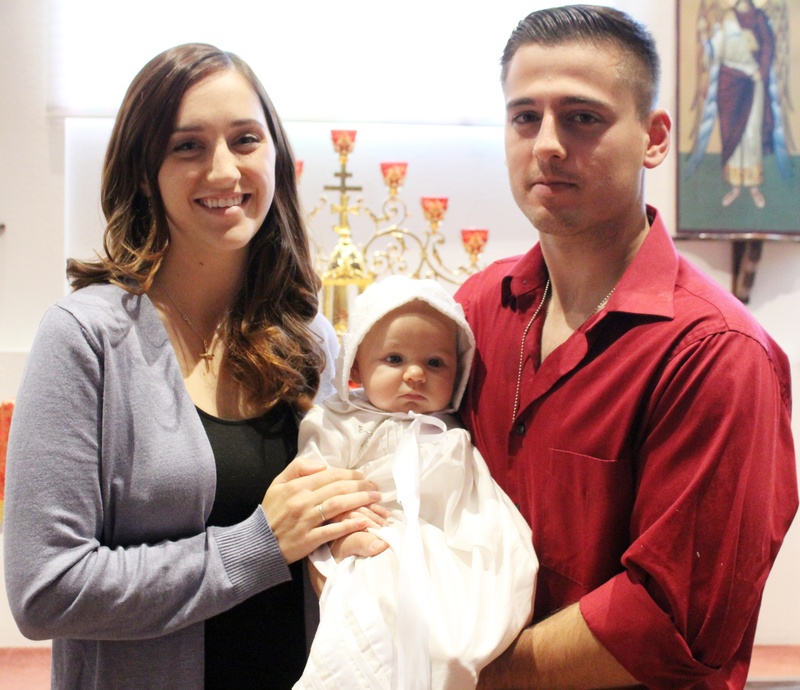 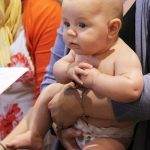 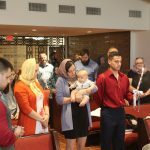 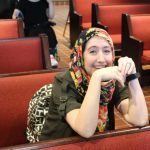 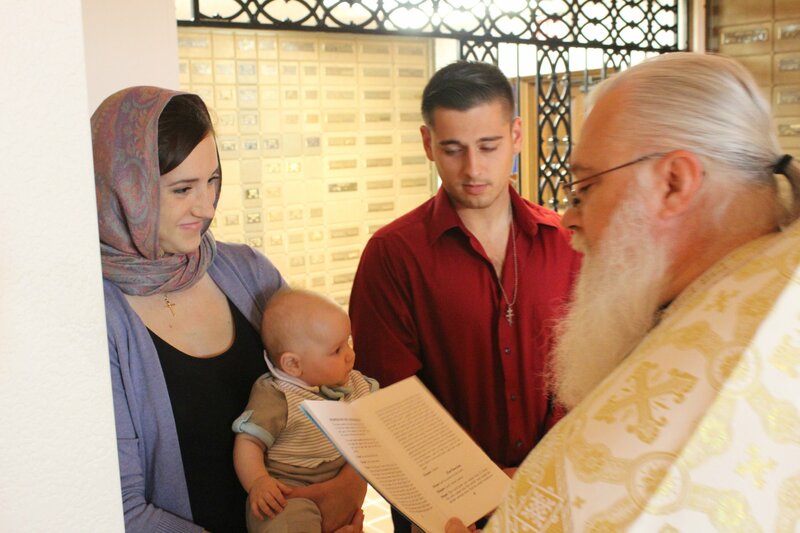 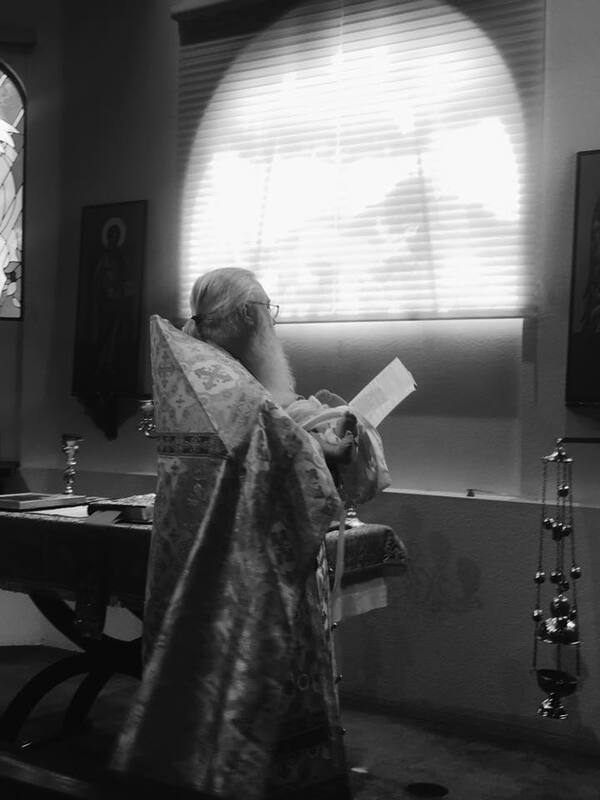 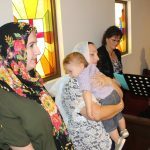 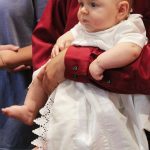 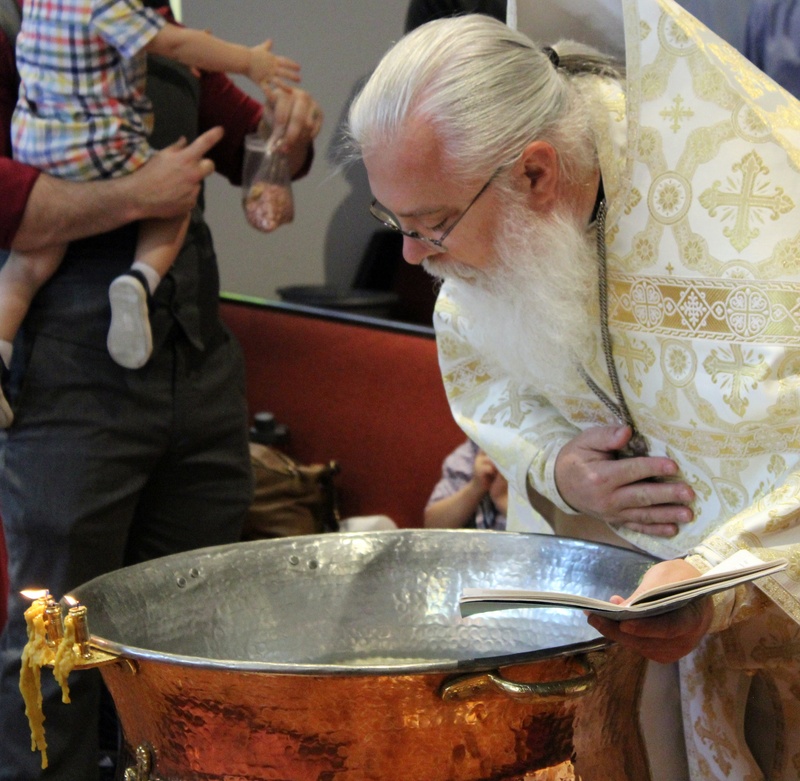 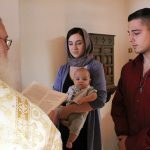 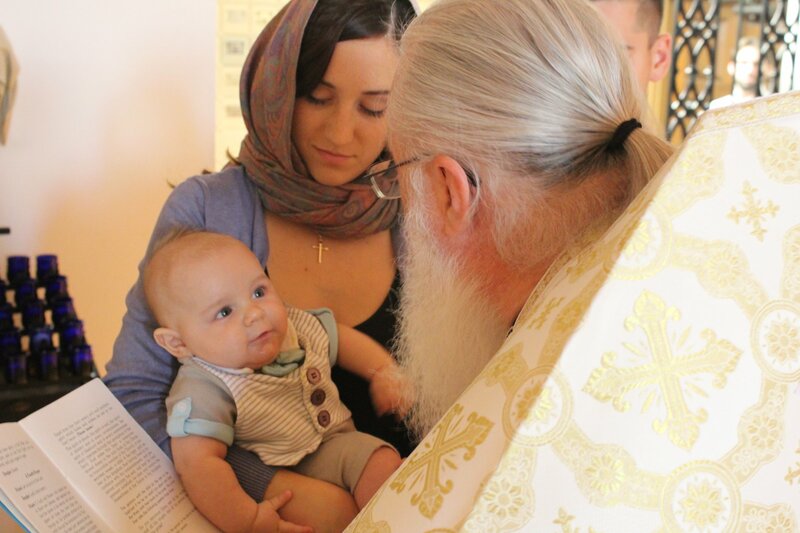 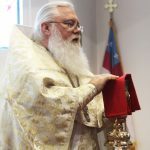 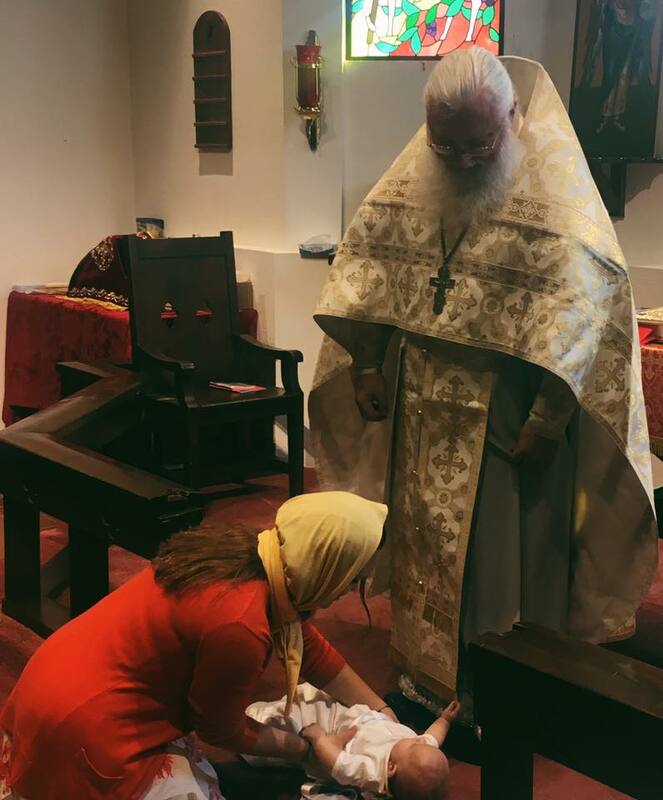 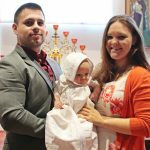 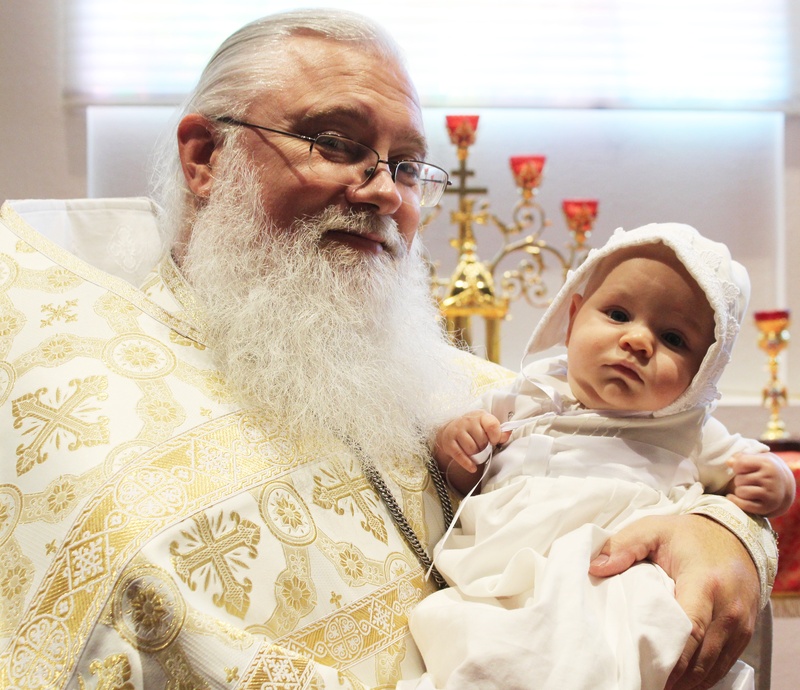 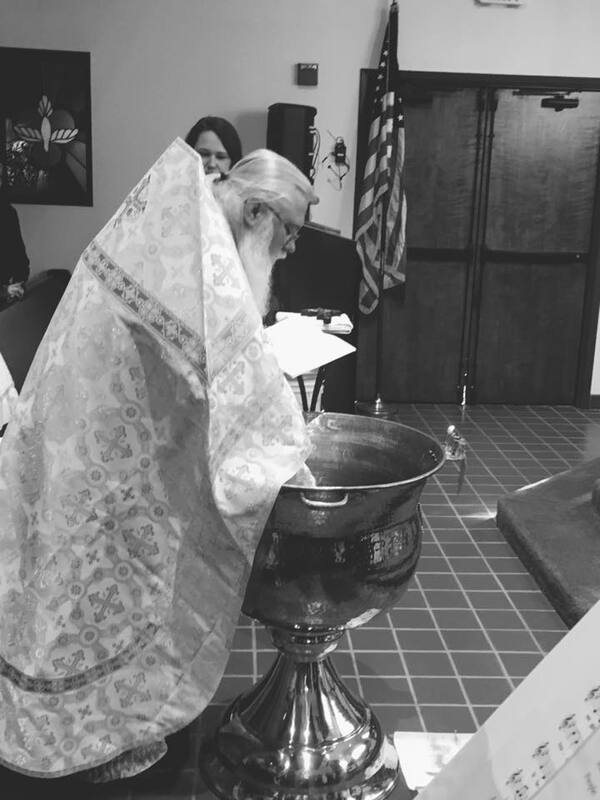 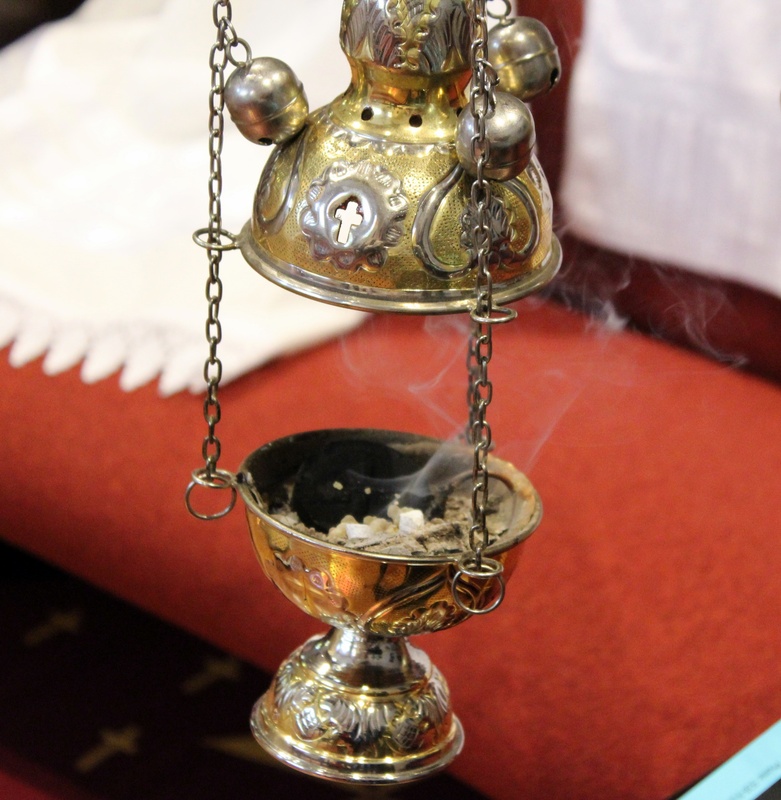 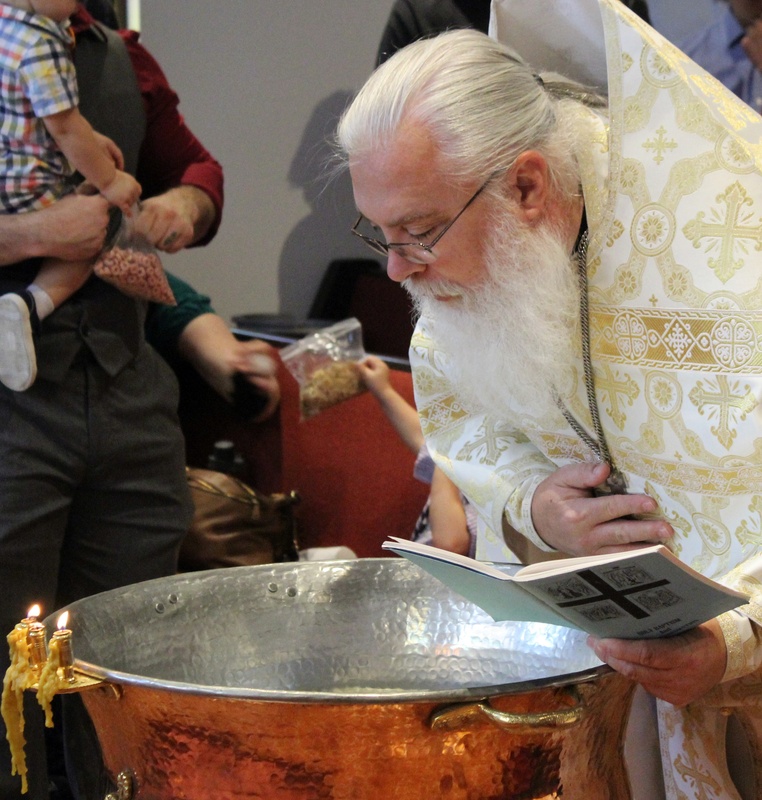 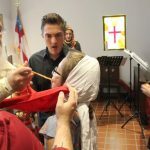 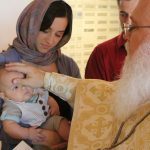 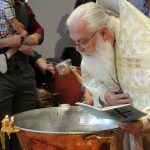 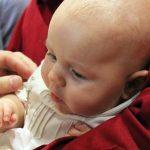 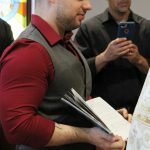 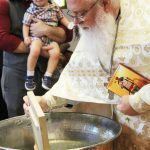 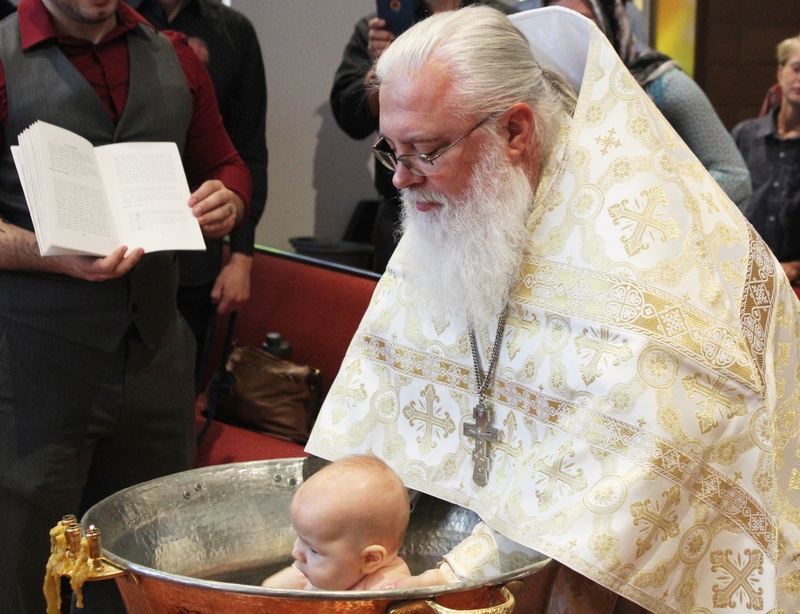 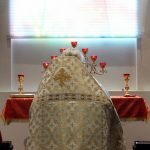 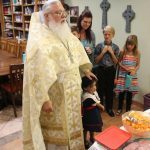 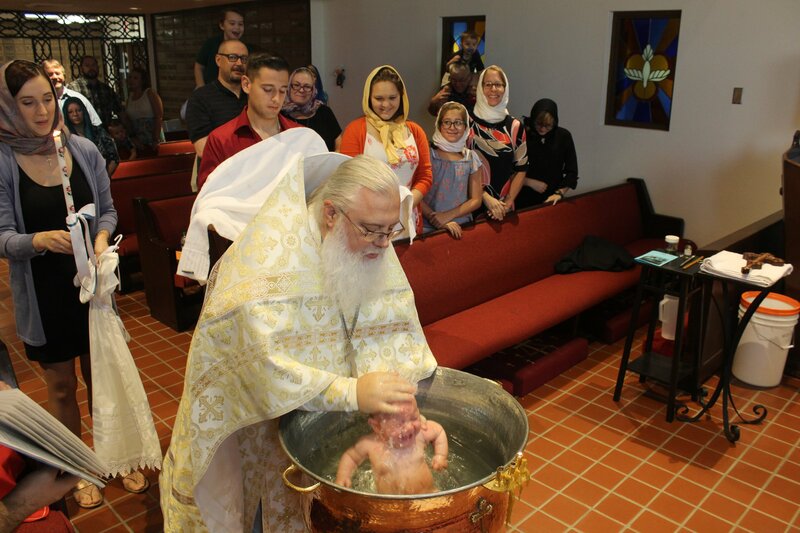 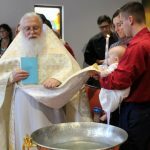 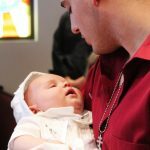 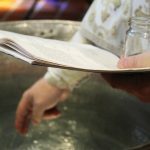 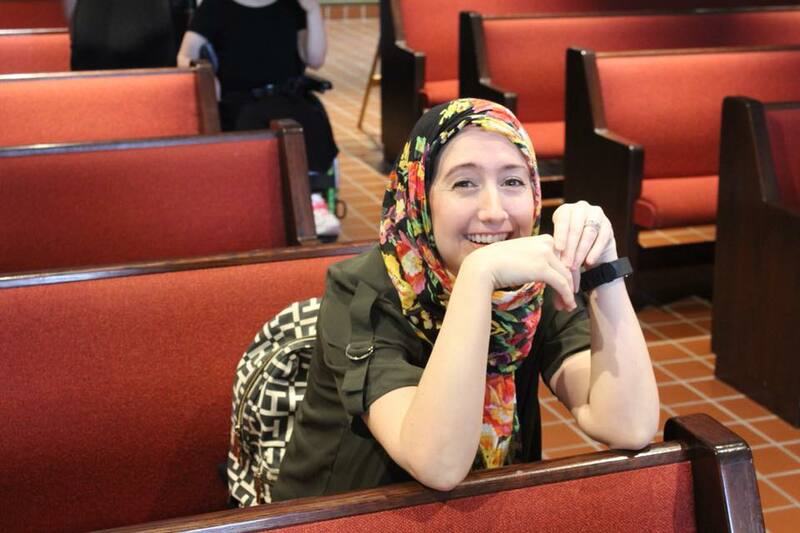 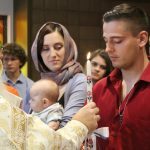 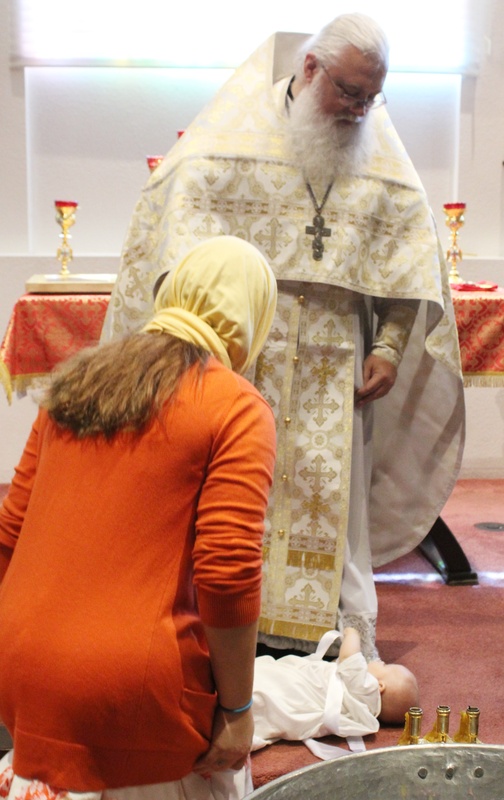 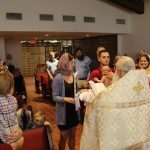 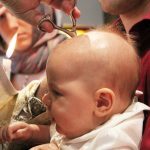 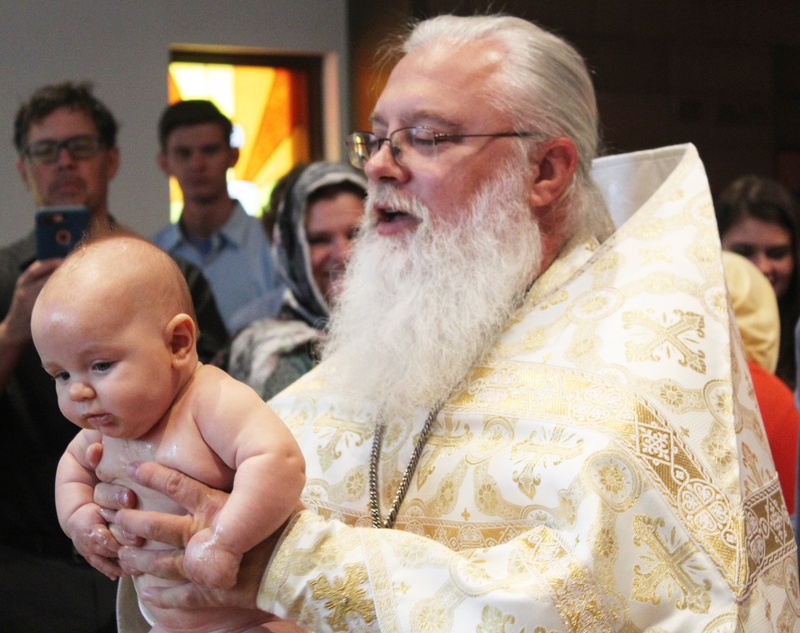 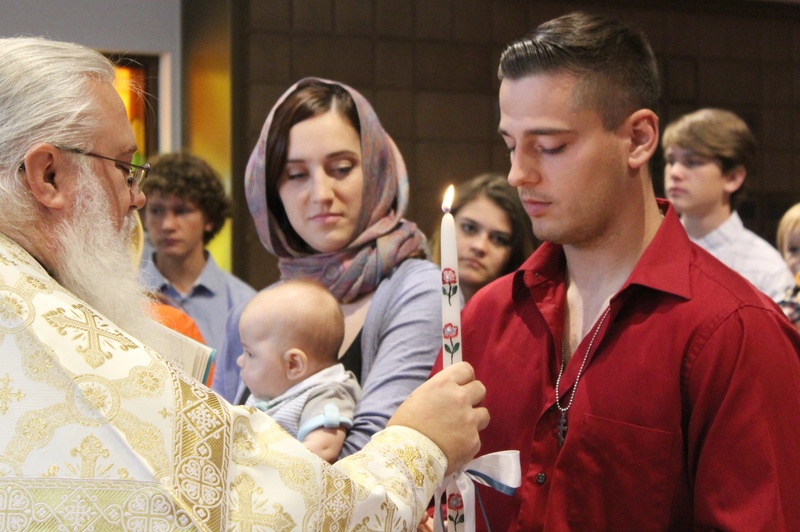 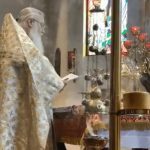 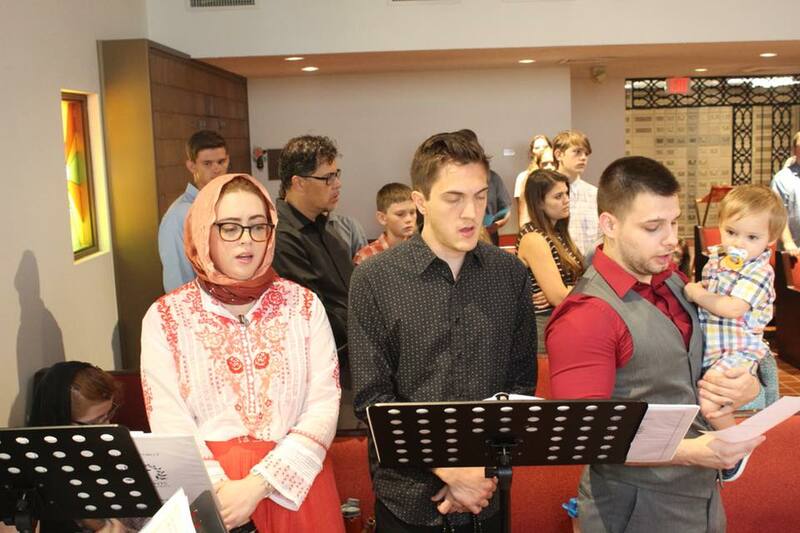 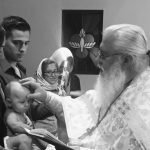 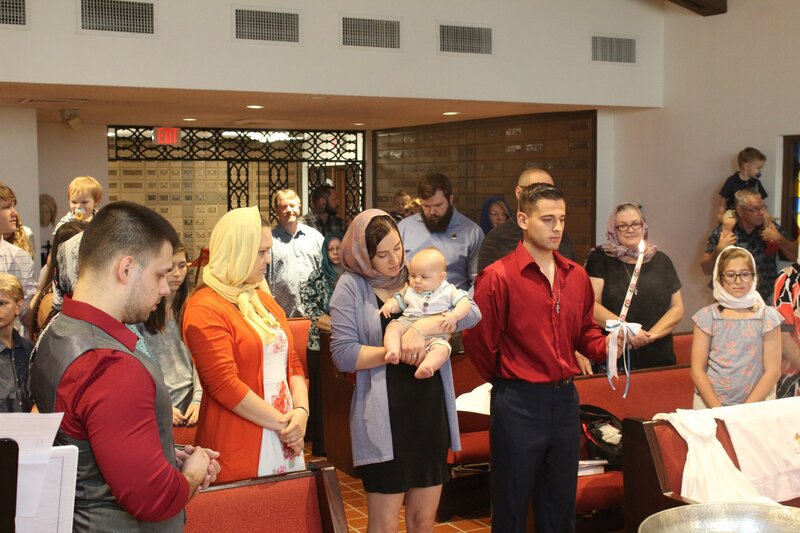 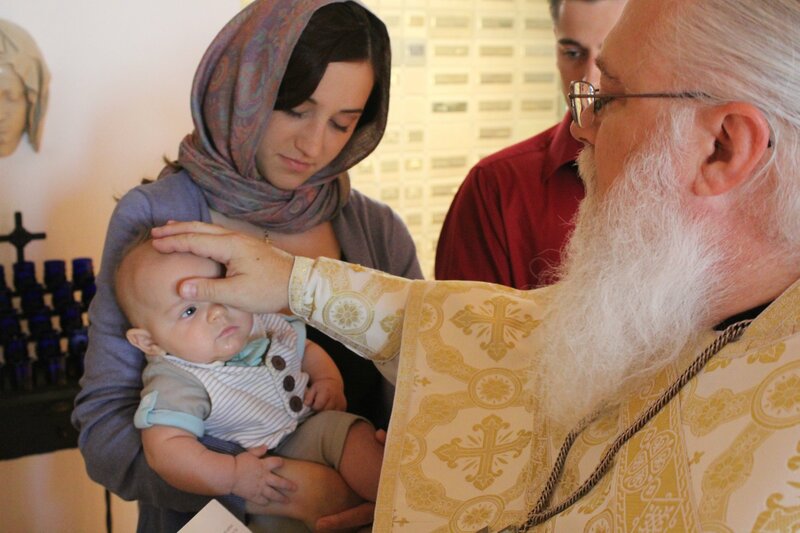 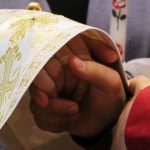 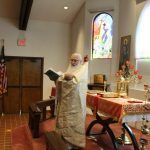 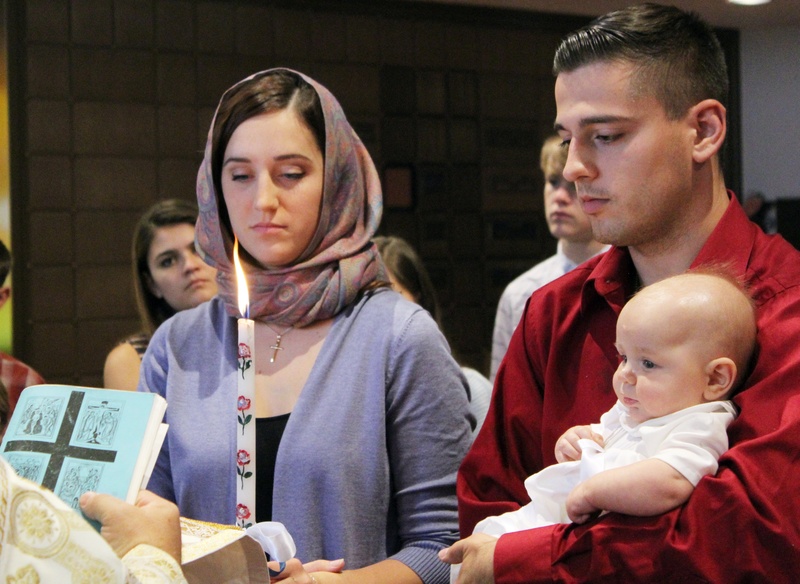 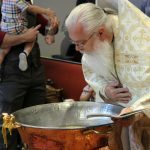 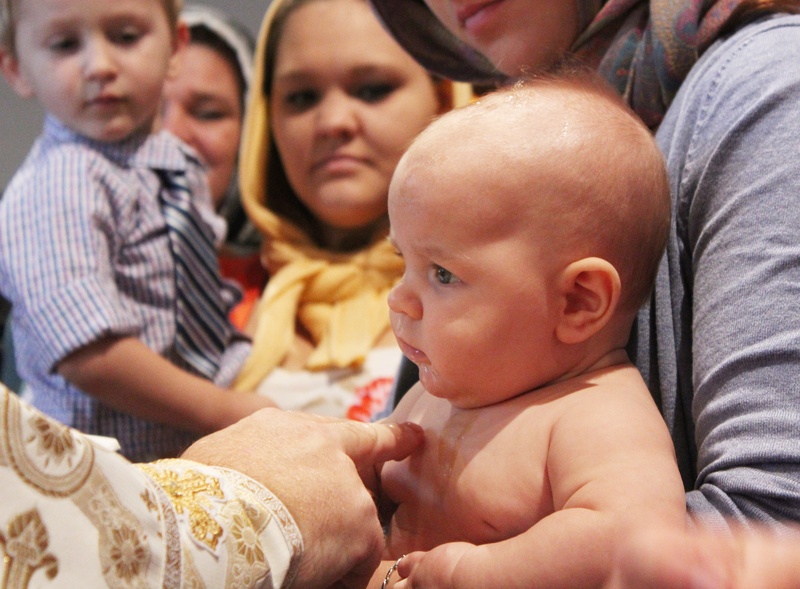 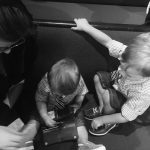 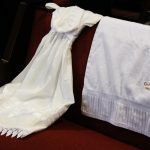 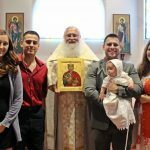 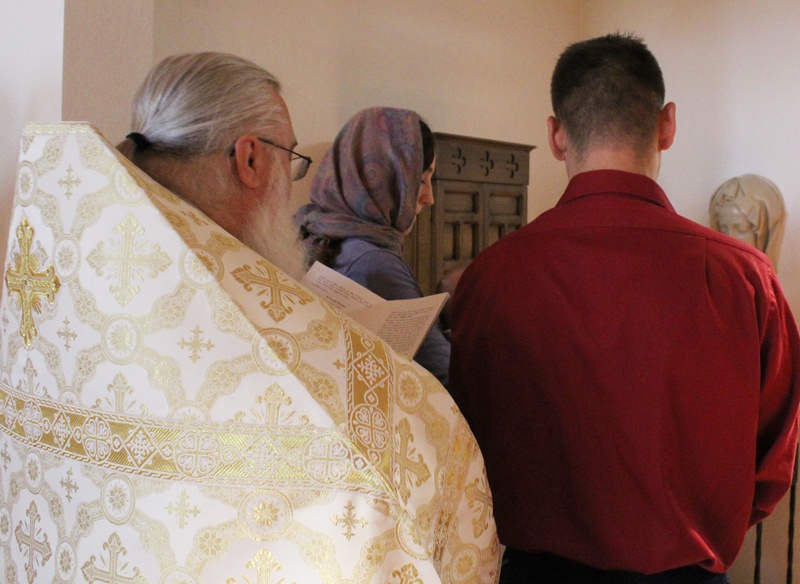 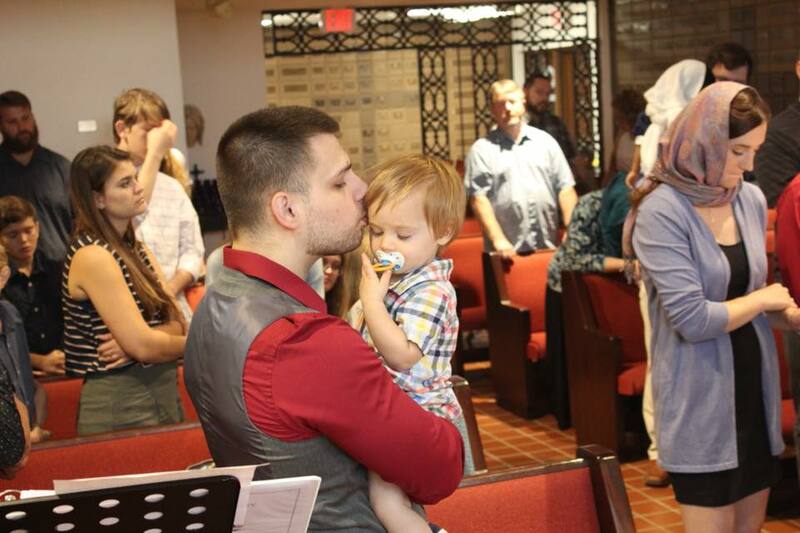 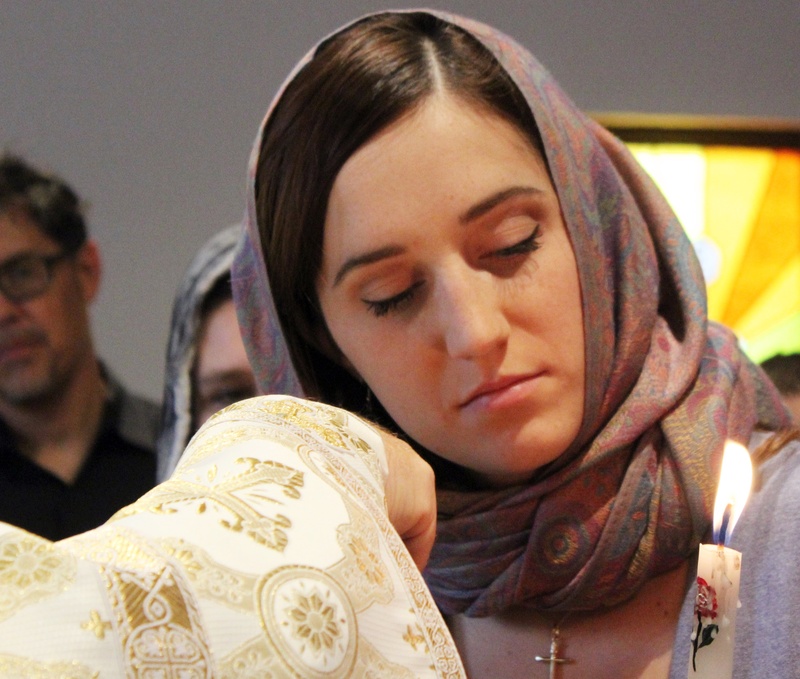 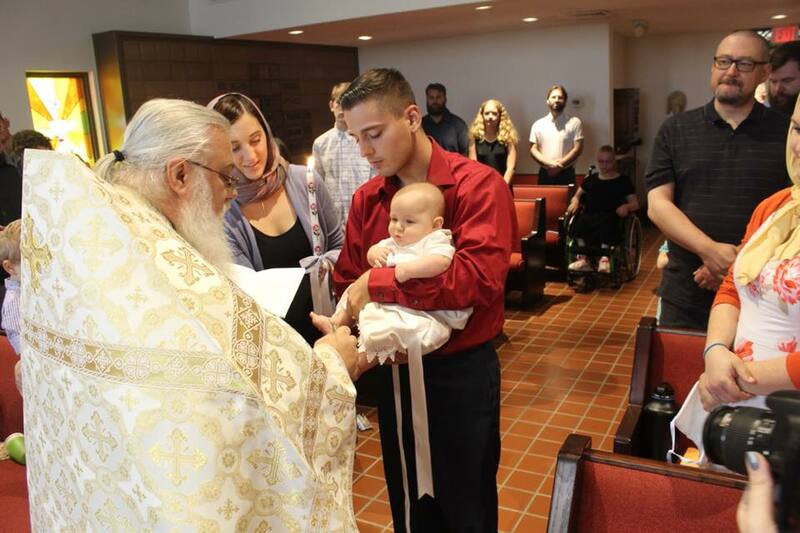 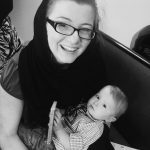 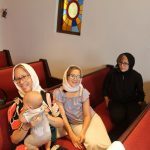 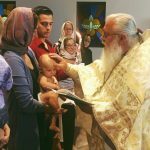 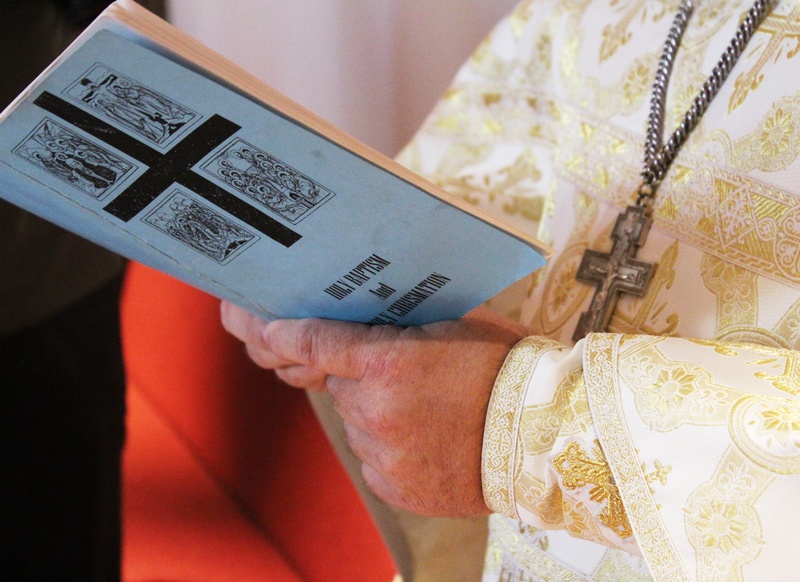 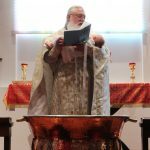 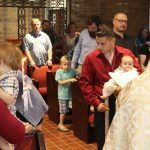 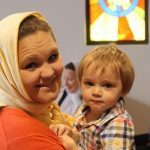 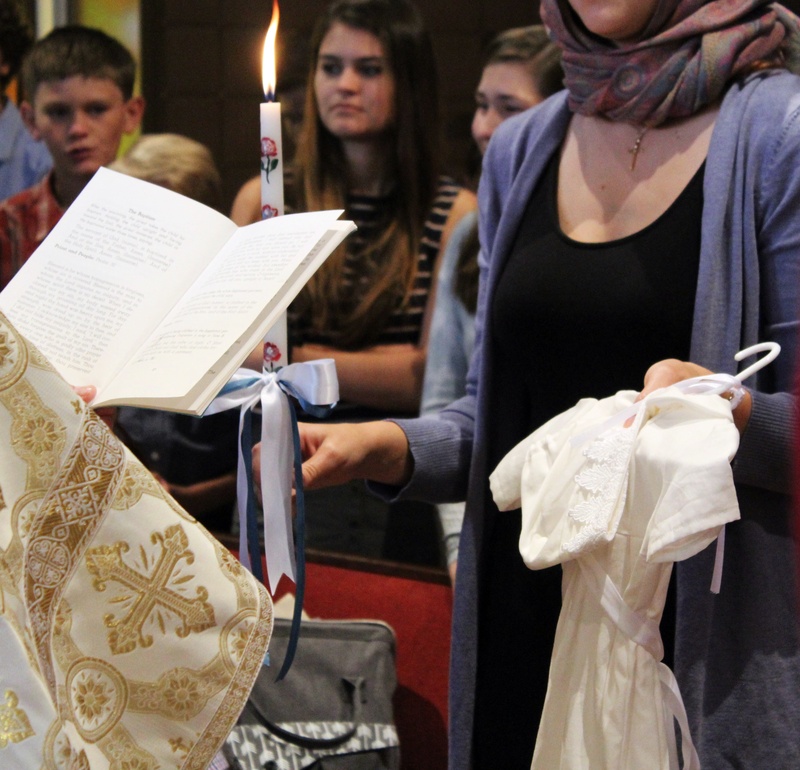 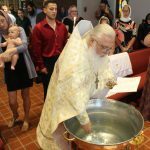 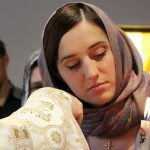 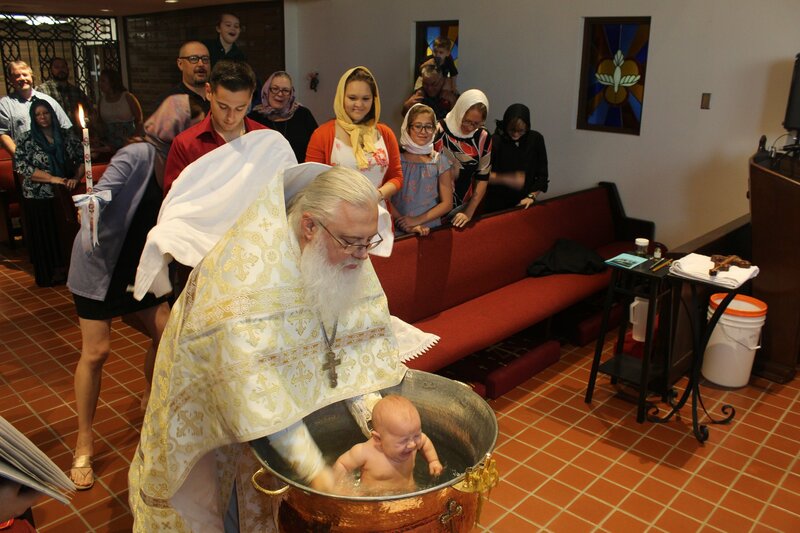 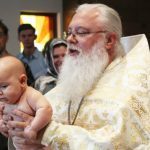 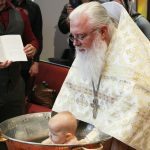 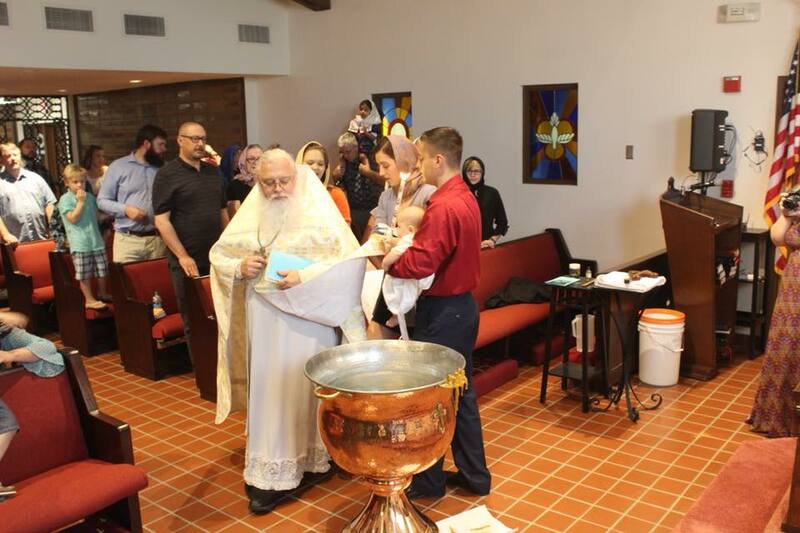 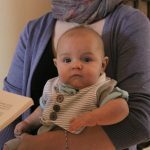 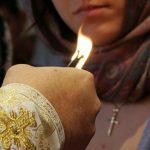 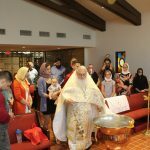 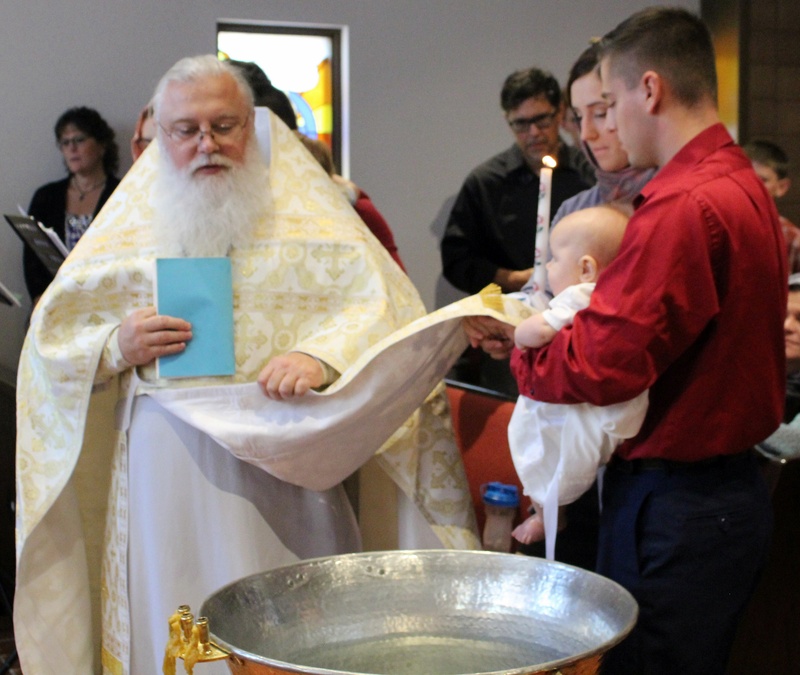 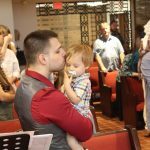 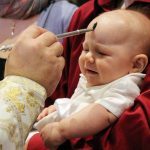 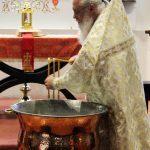 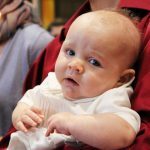 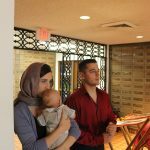 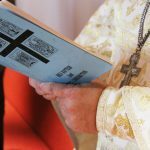 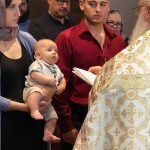 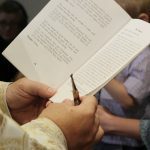 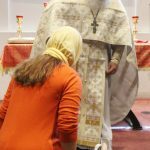 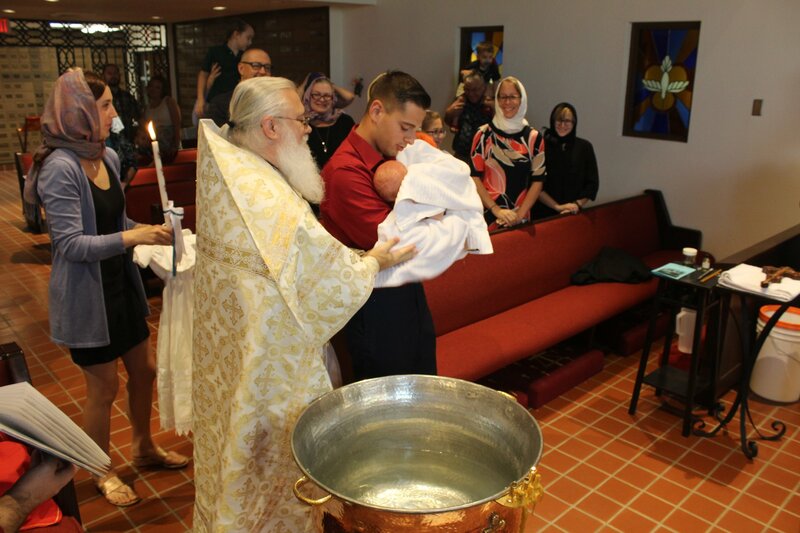 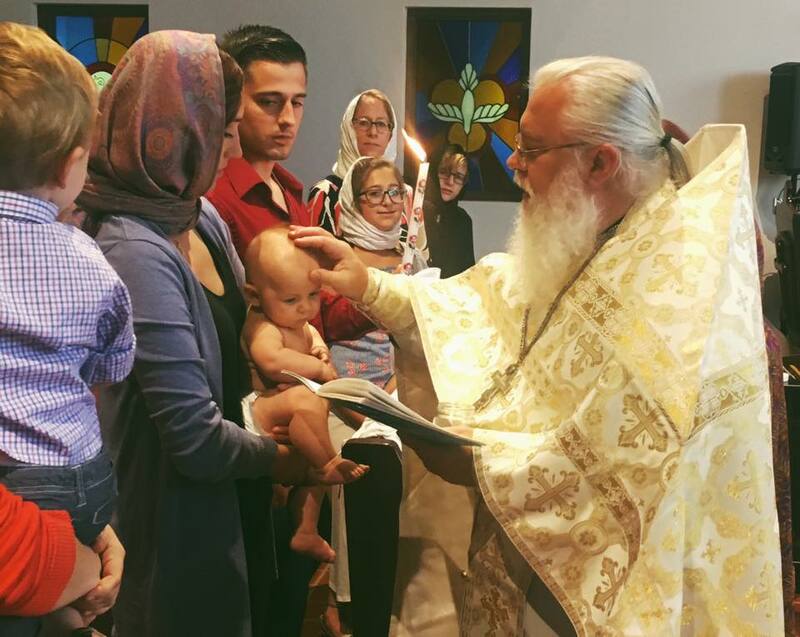 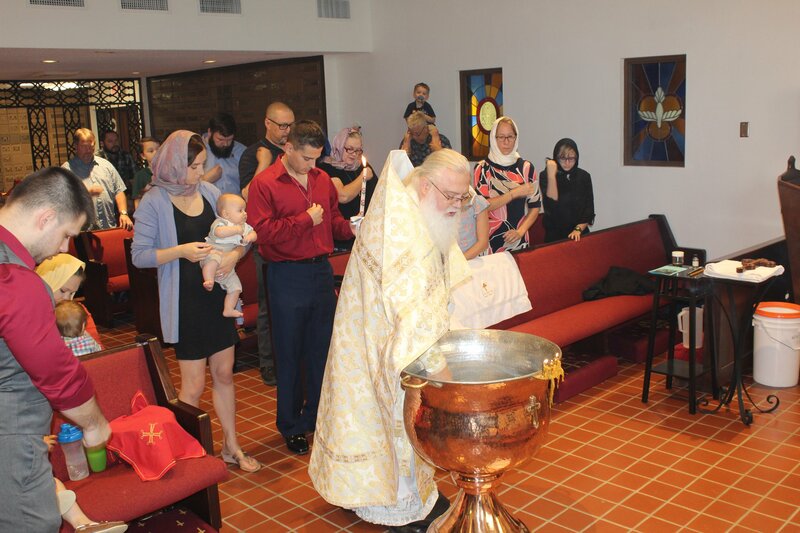 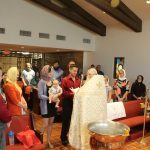 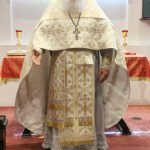 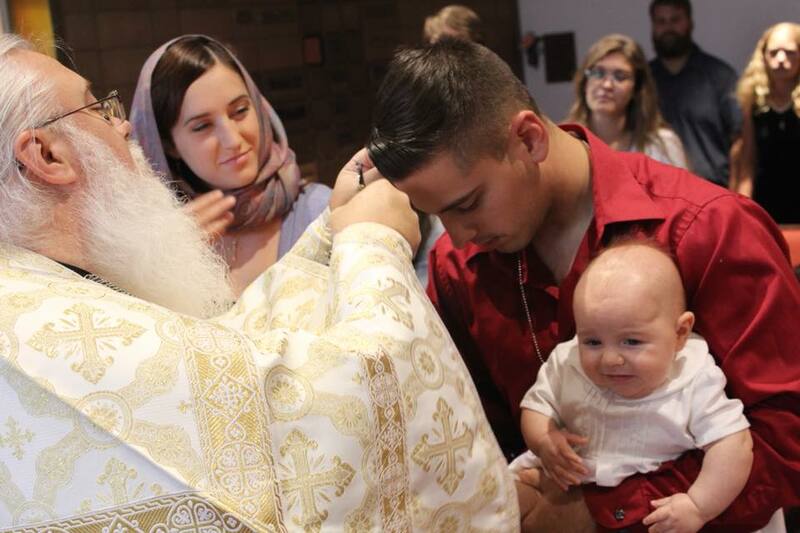 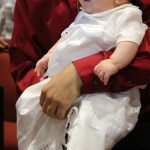 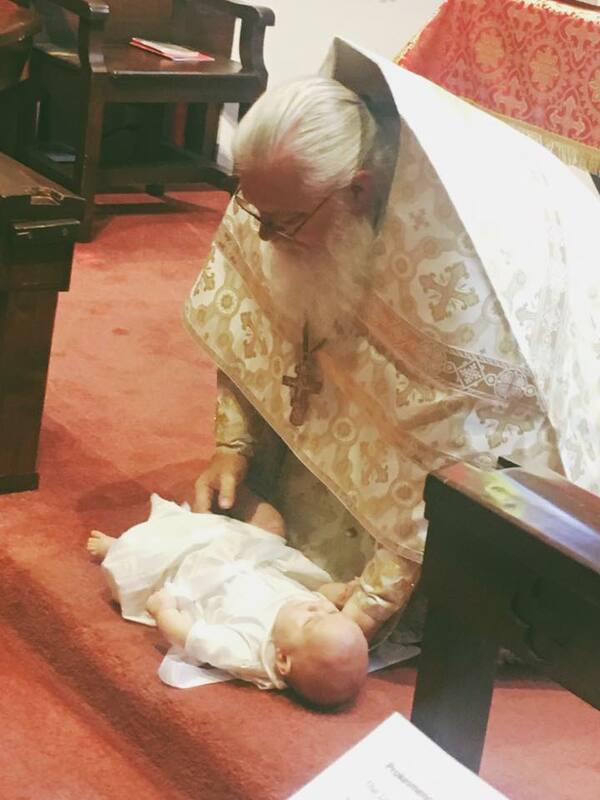 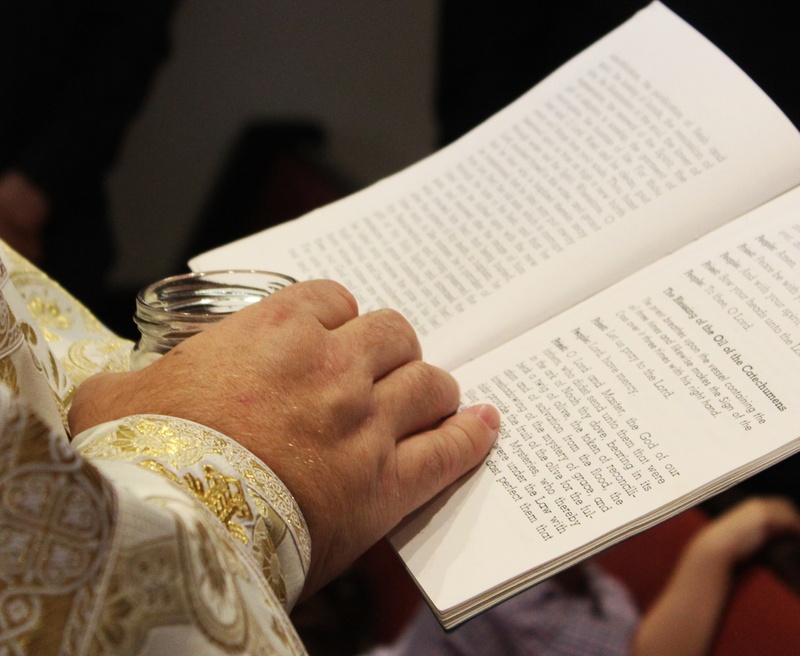 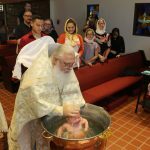 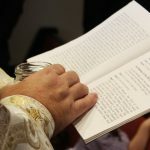 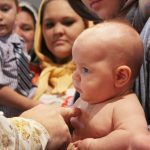 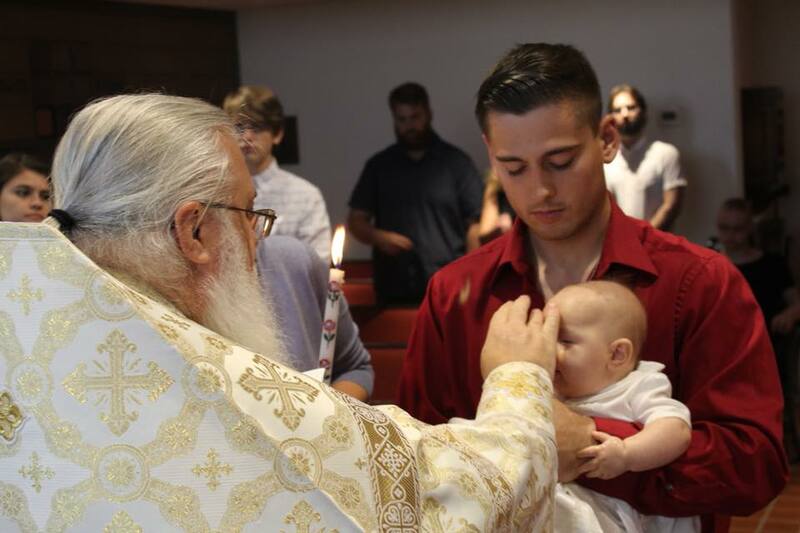 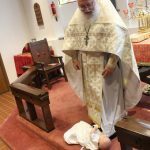 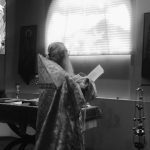 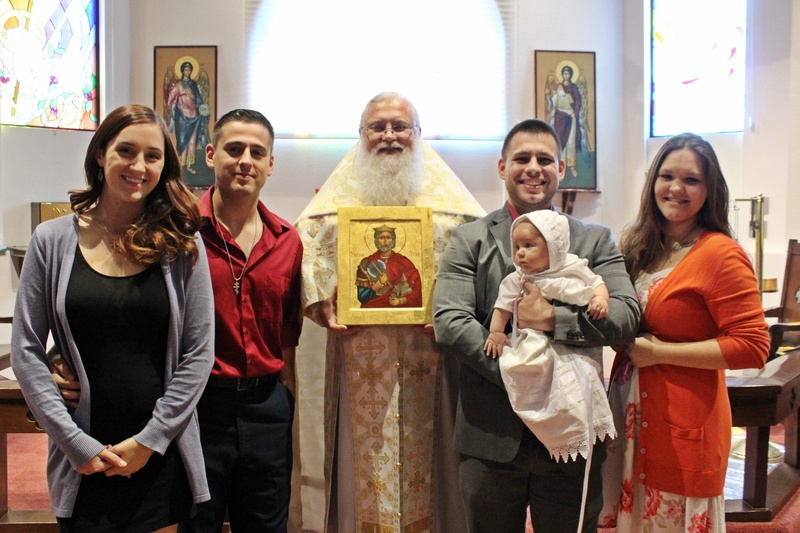 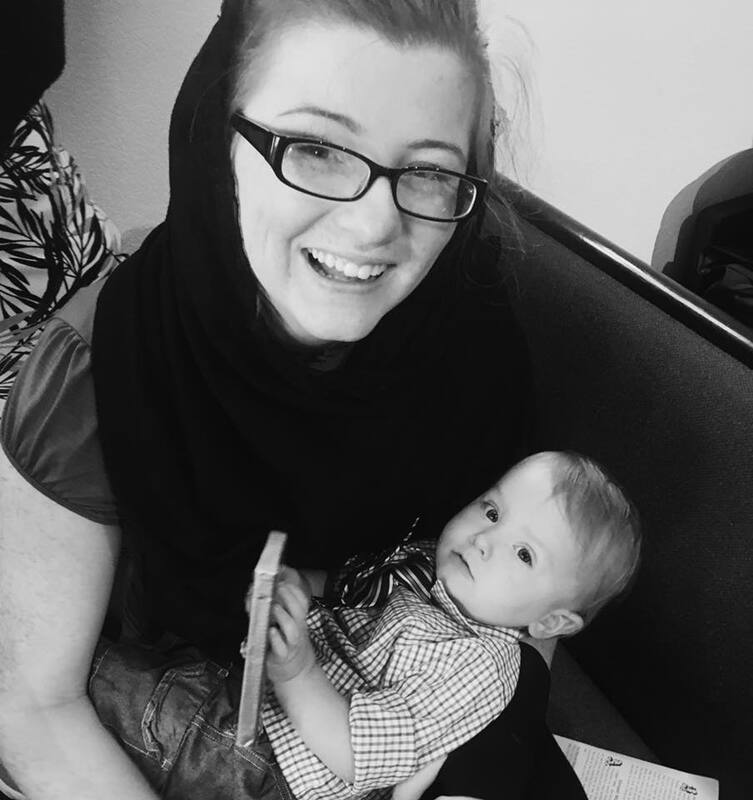 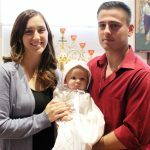 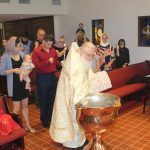 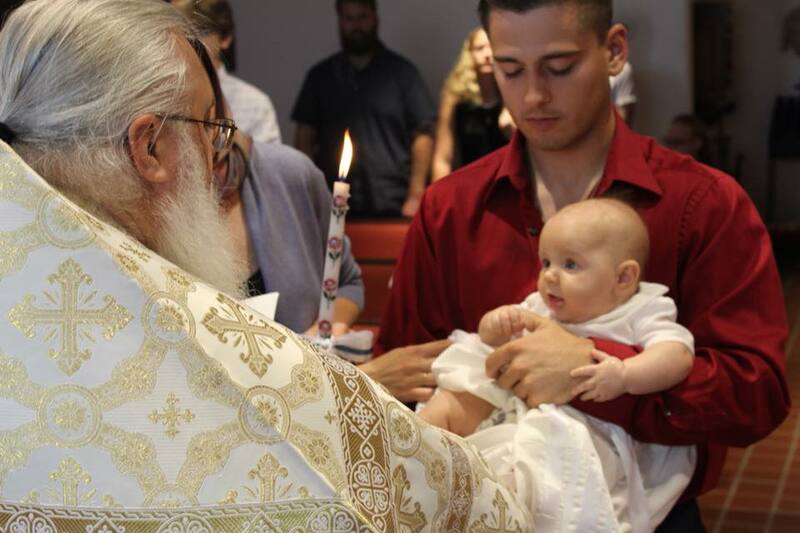 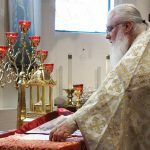 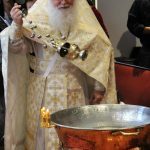 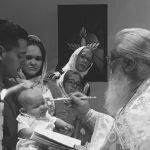 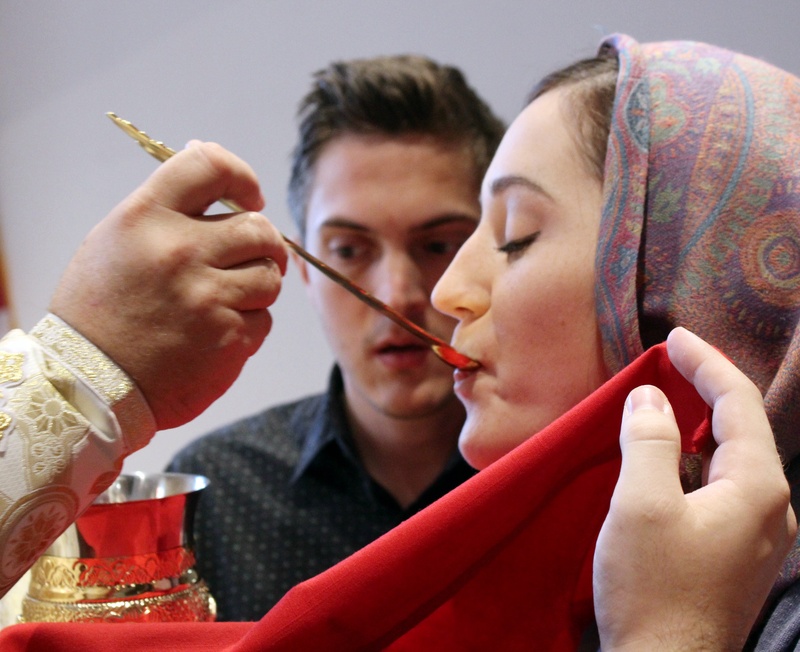 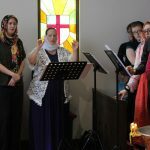 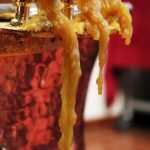 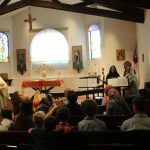 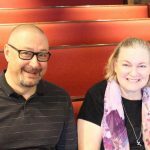 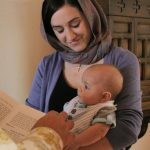 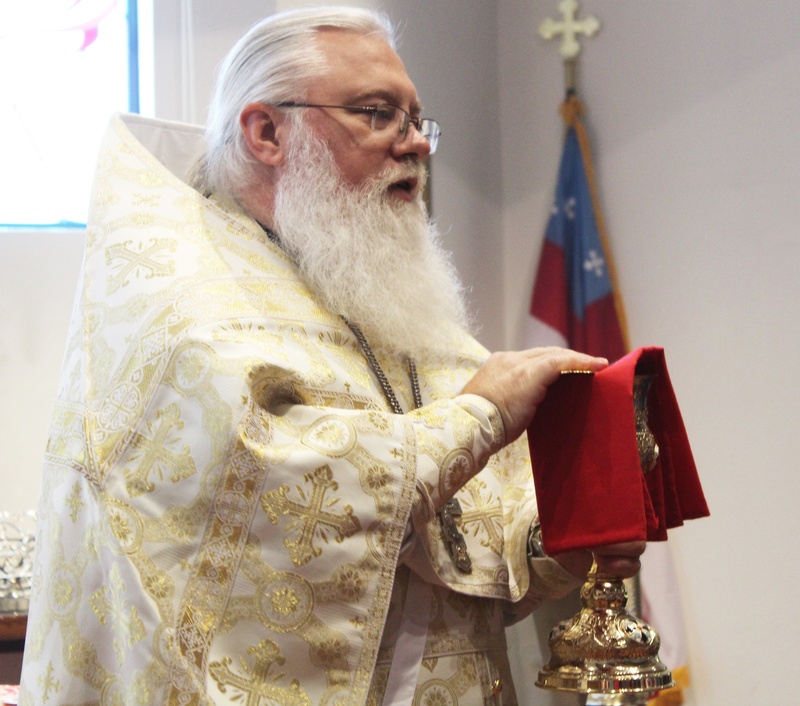 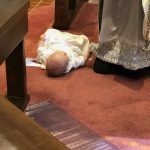 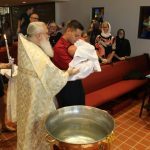 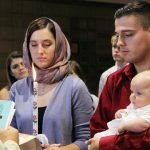 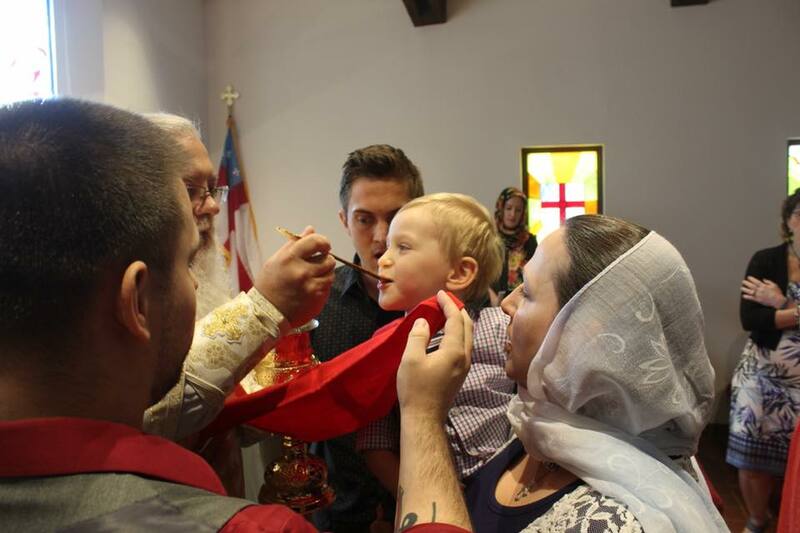 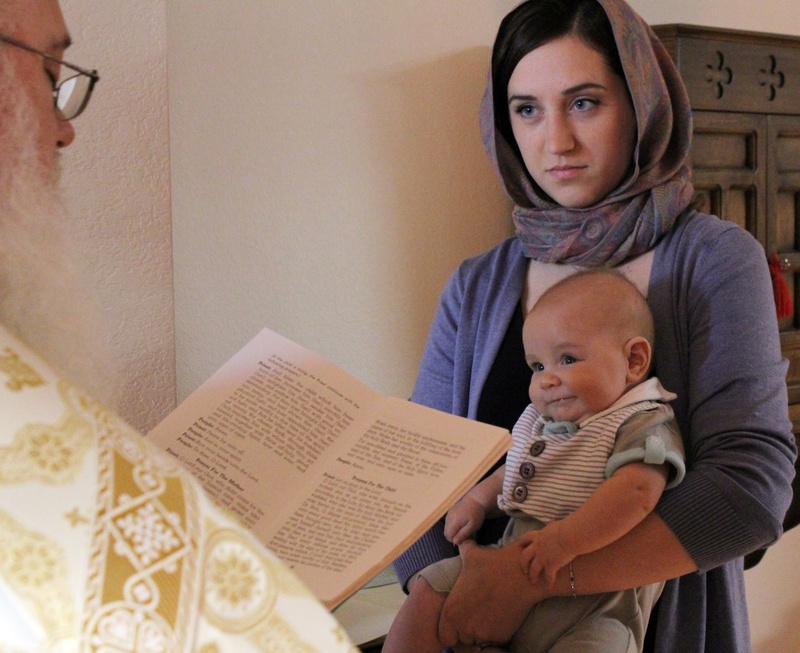 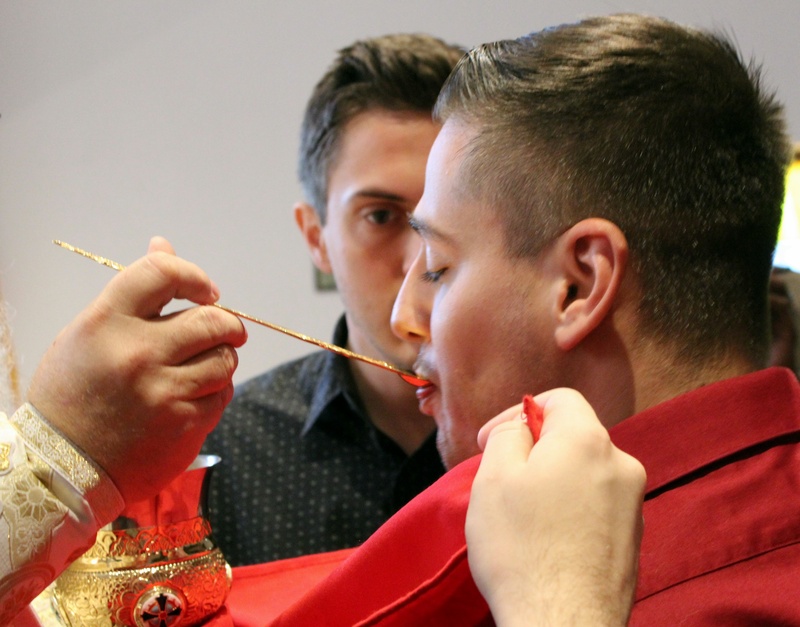 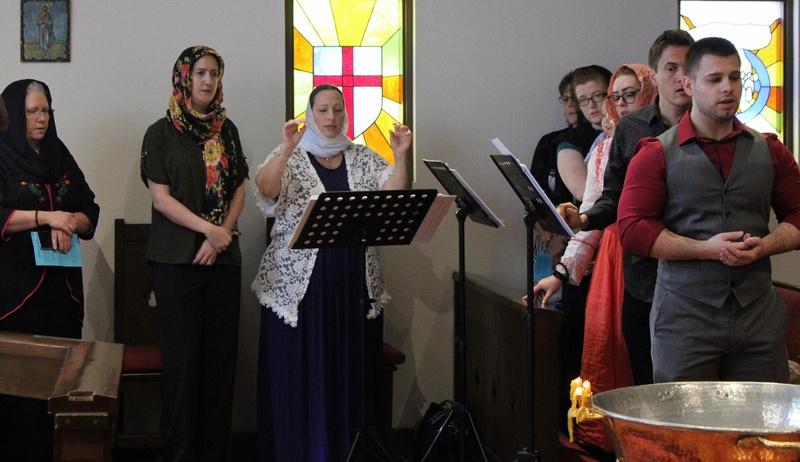 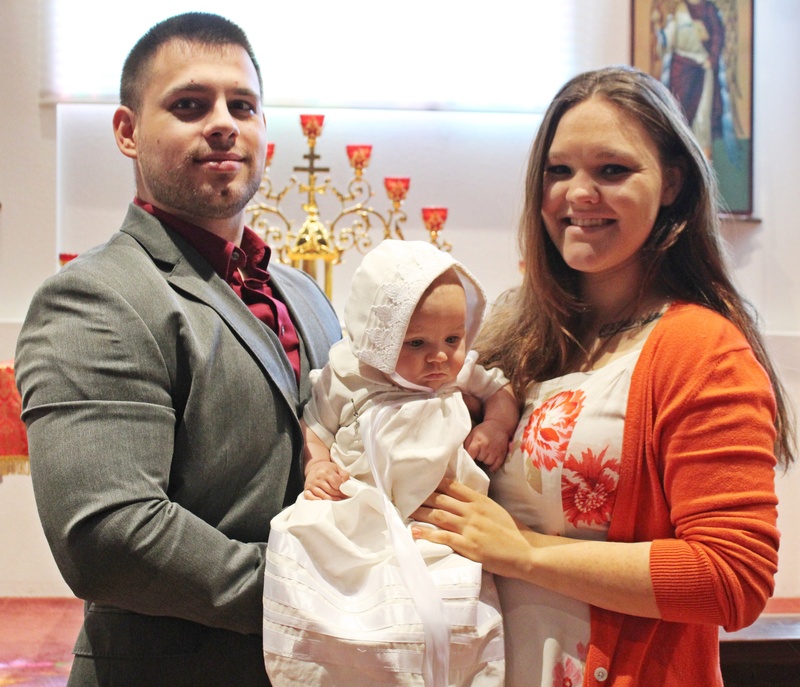 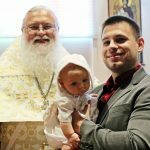 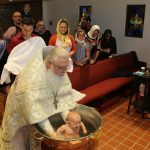 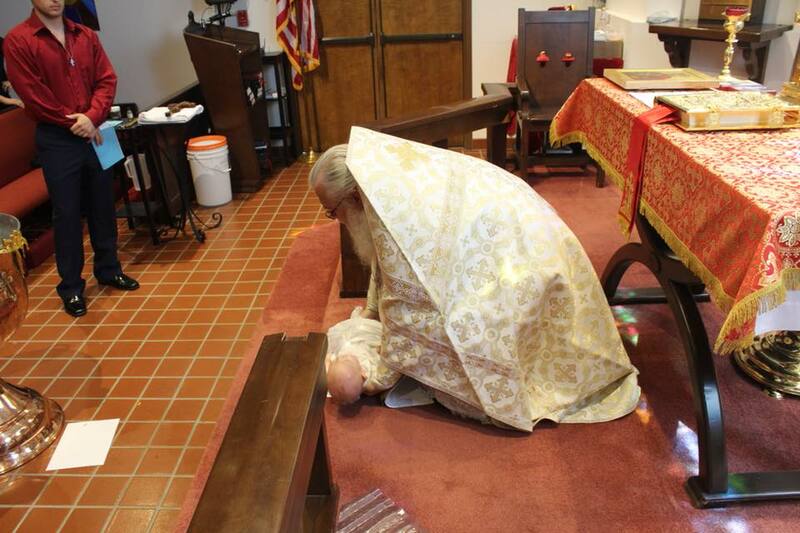 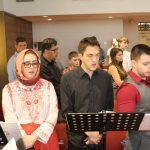 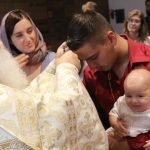 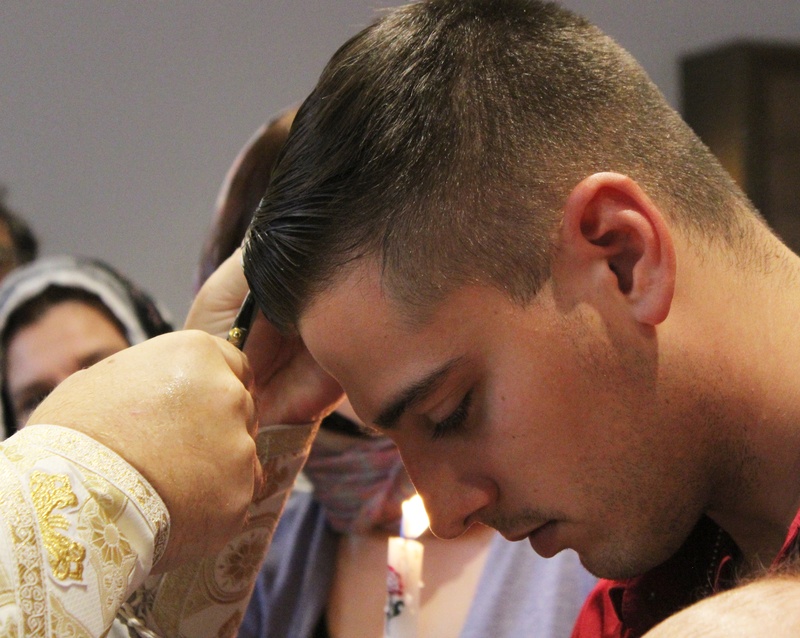 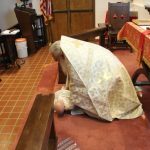 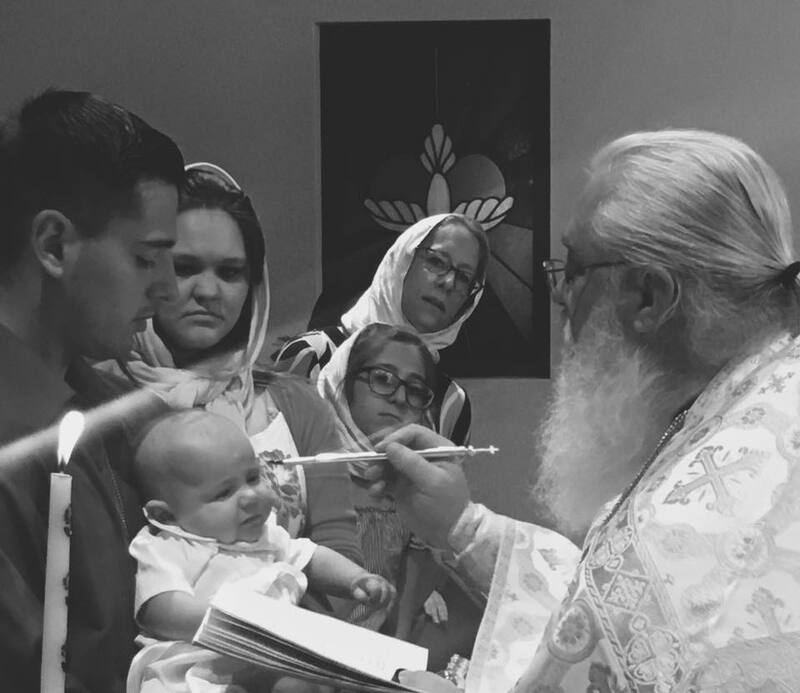 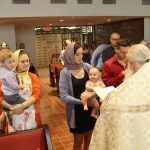 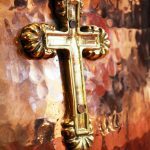 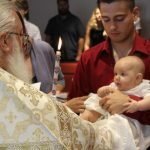 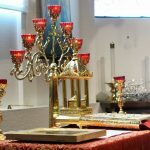 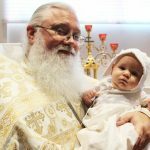 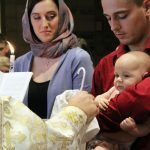 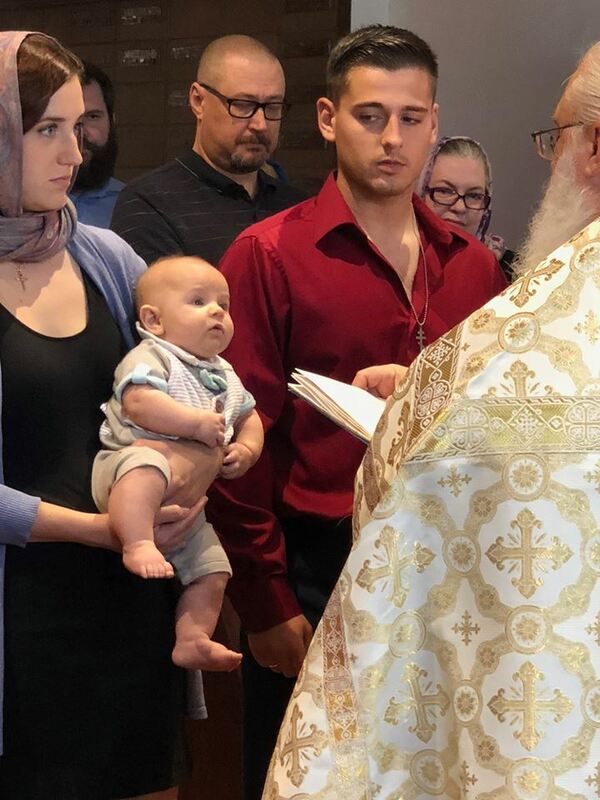 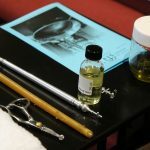 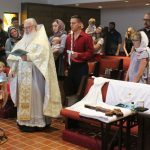 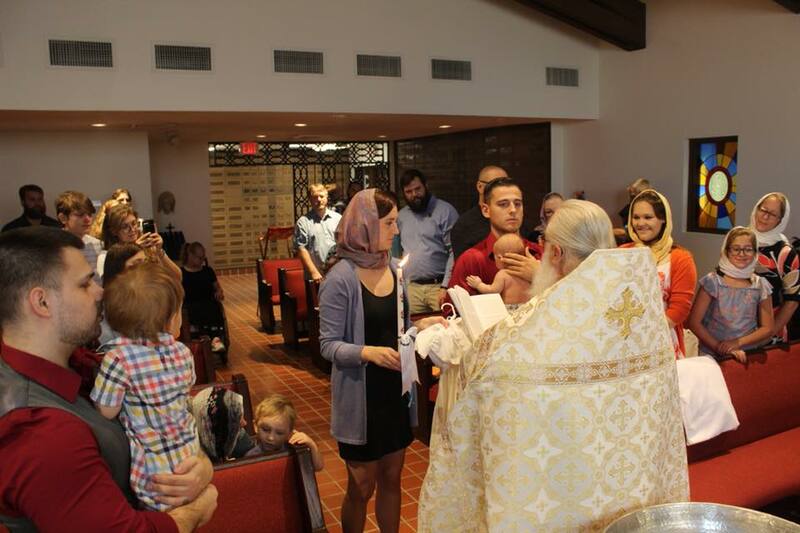 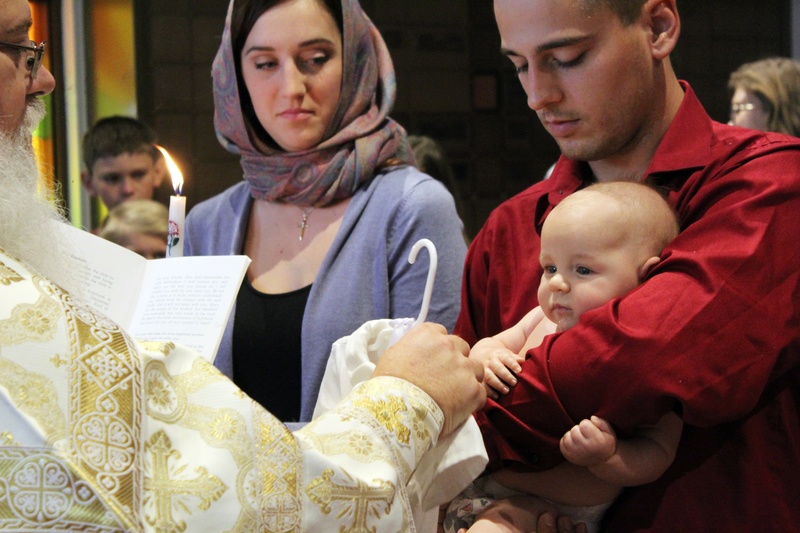 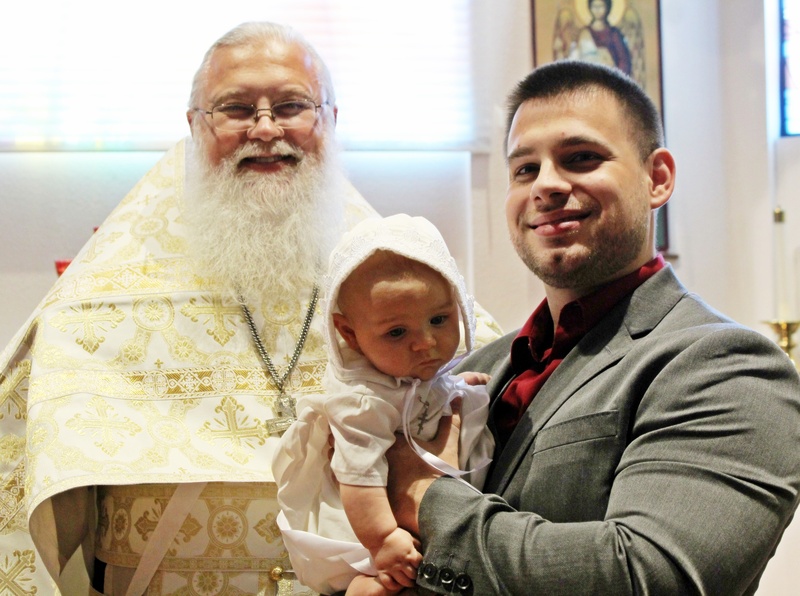 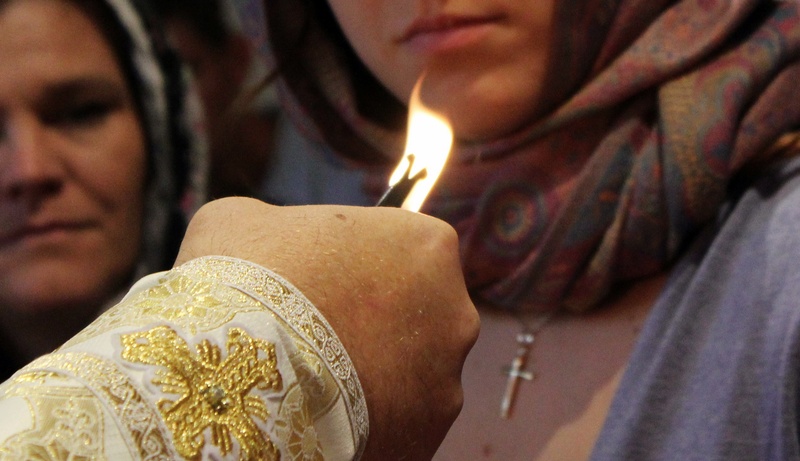 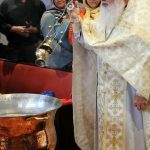 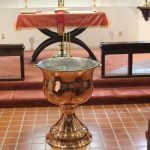 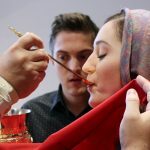 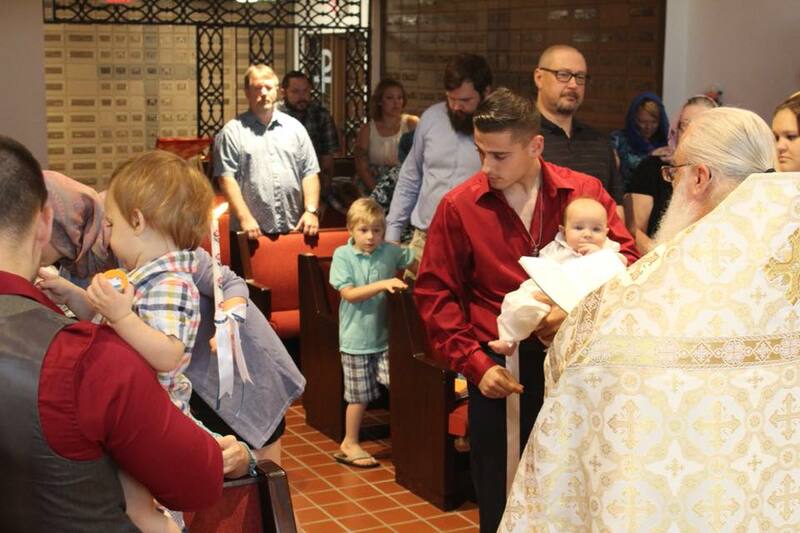 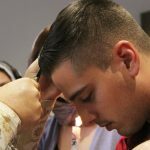 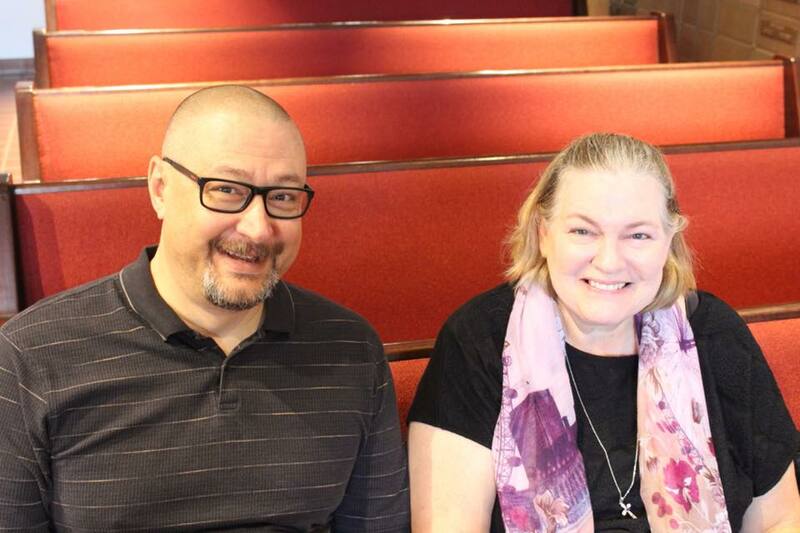 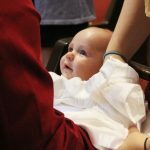 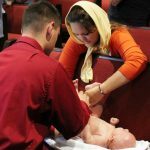 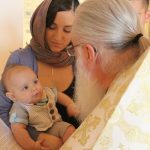 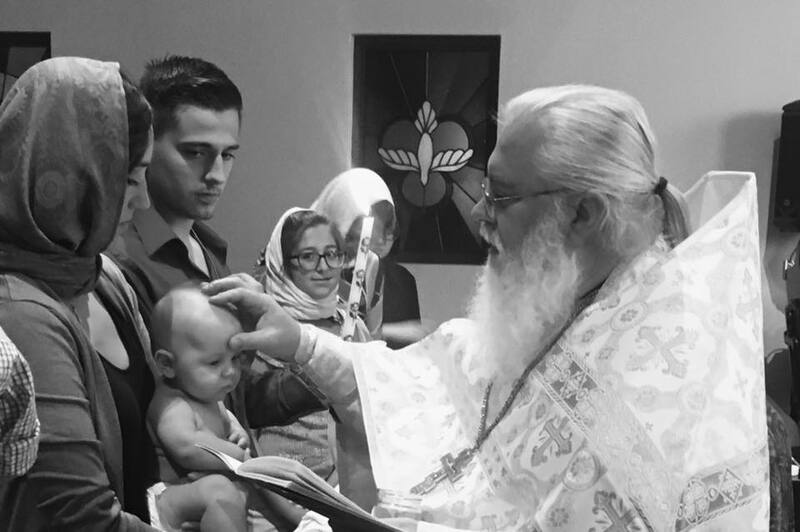 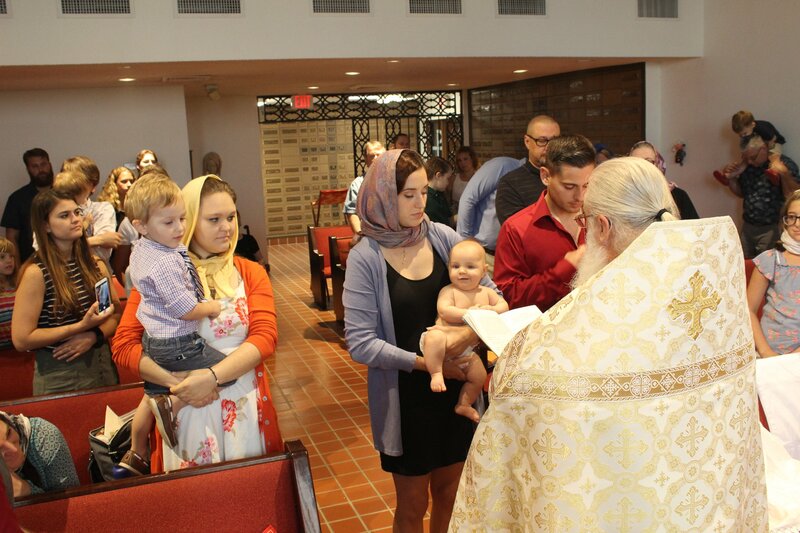 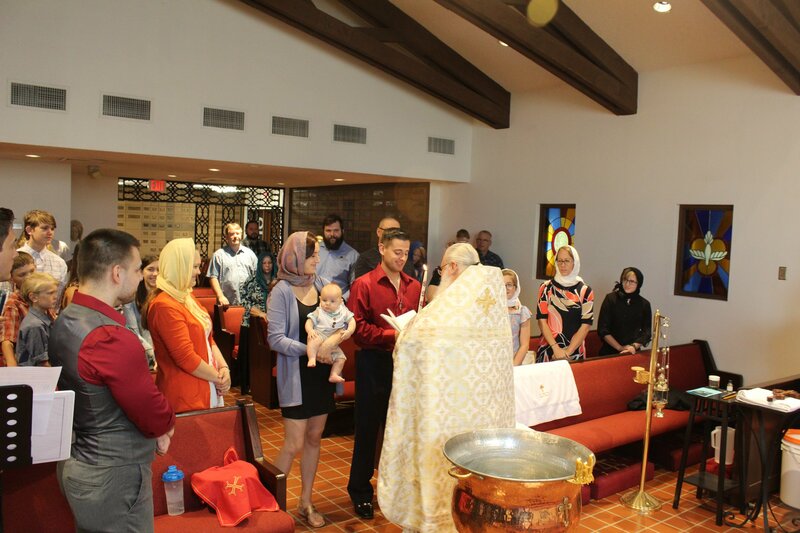 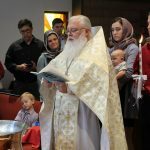 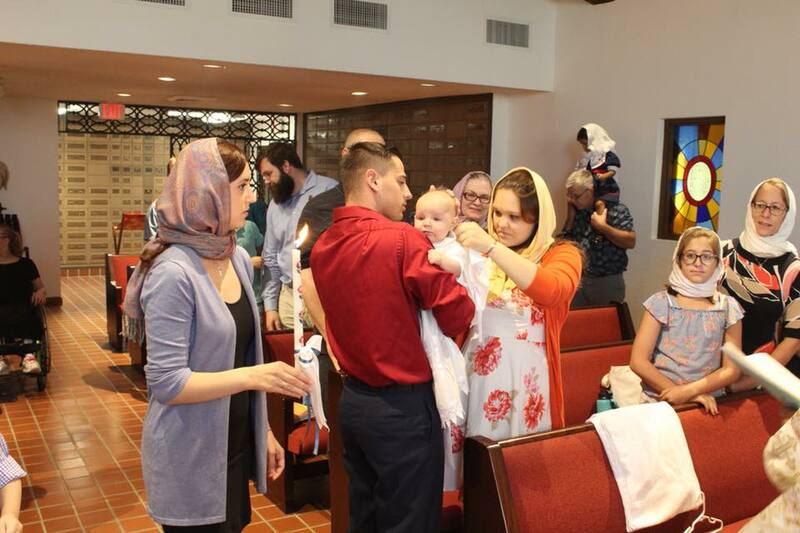 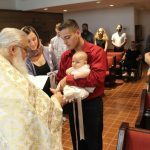 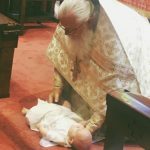 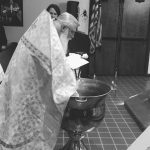 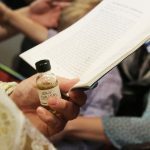 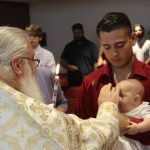 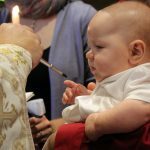 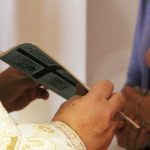 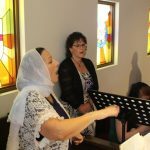 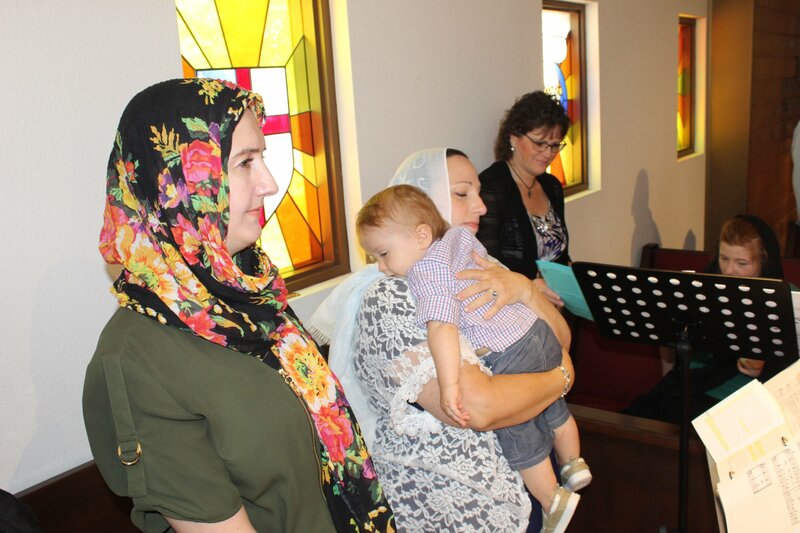 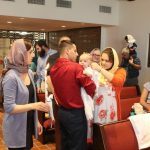 Share the post "First Infant Baptism at ASONA"
Today was the occasion of the first infant baptism at All Saints of North America Orthodox Church. 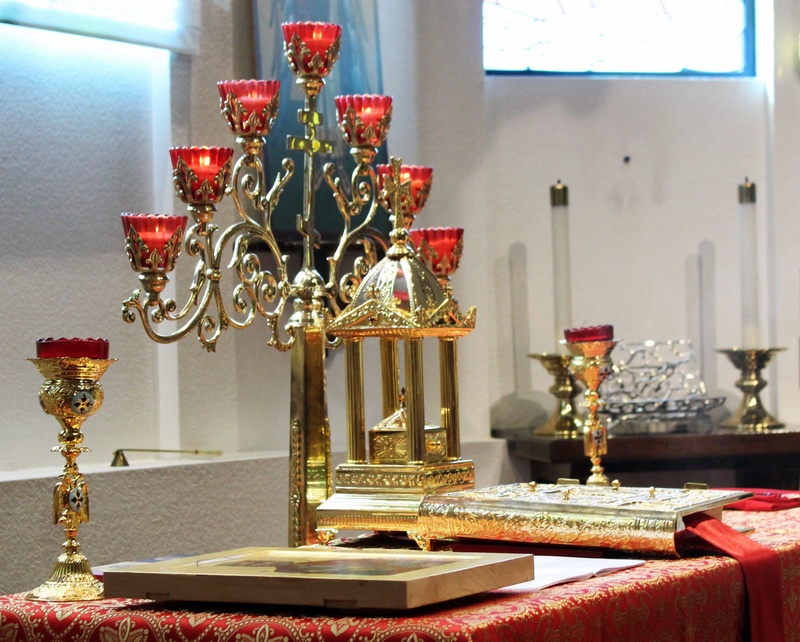 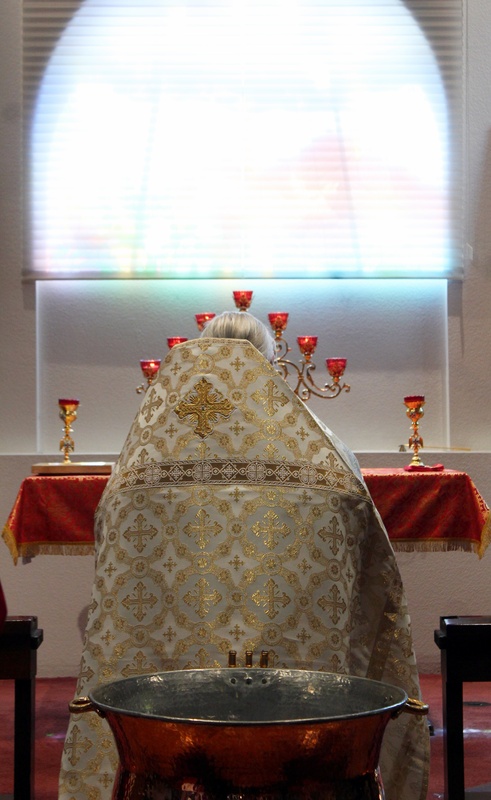 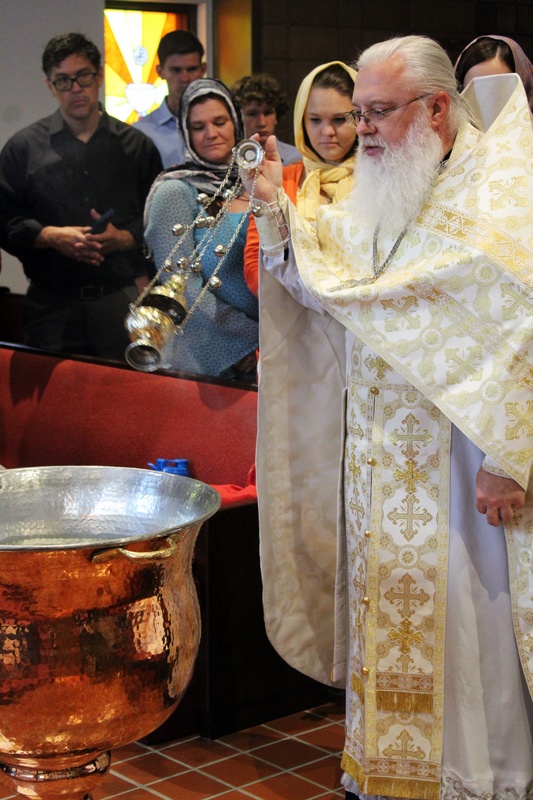 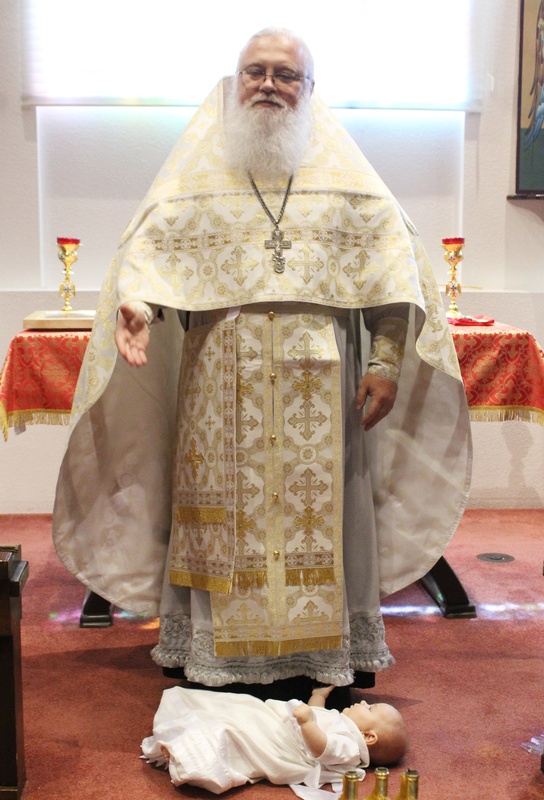 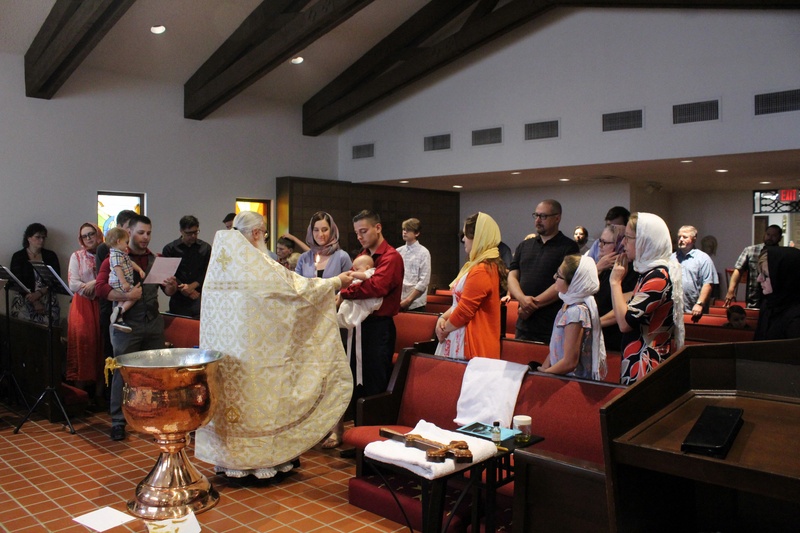 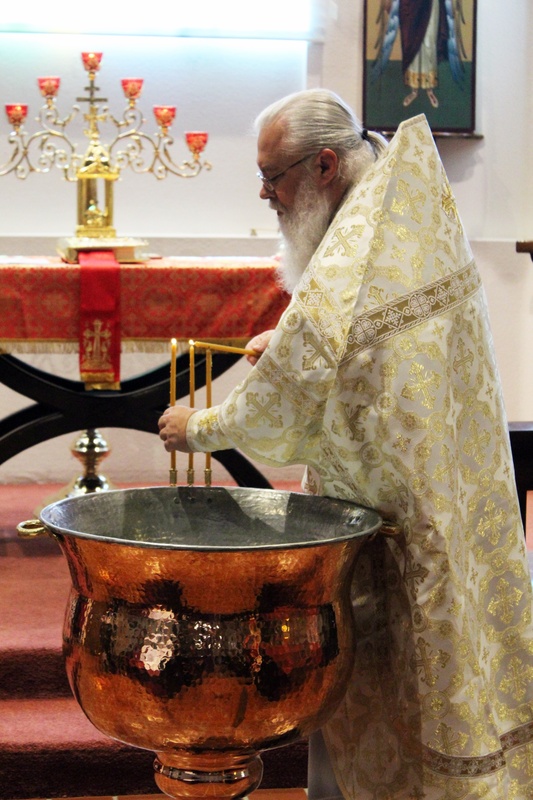 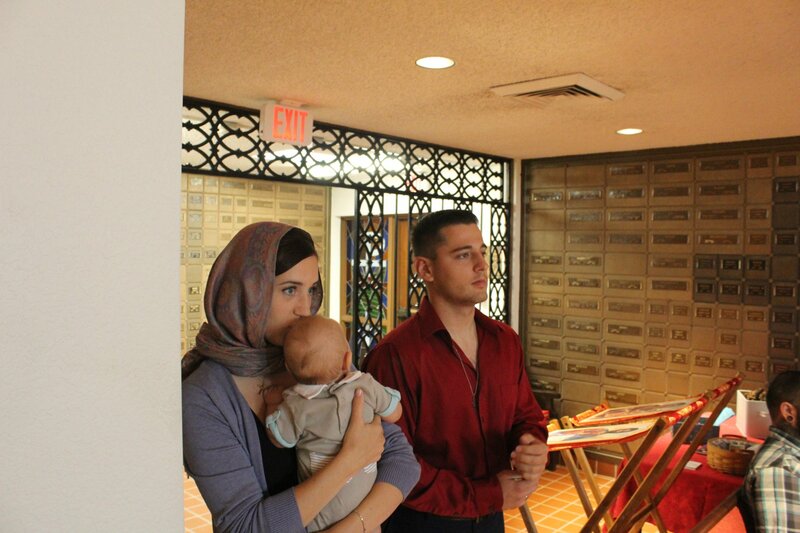 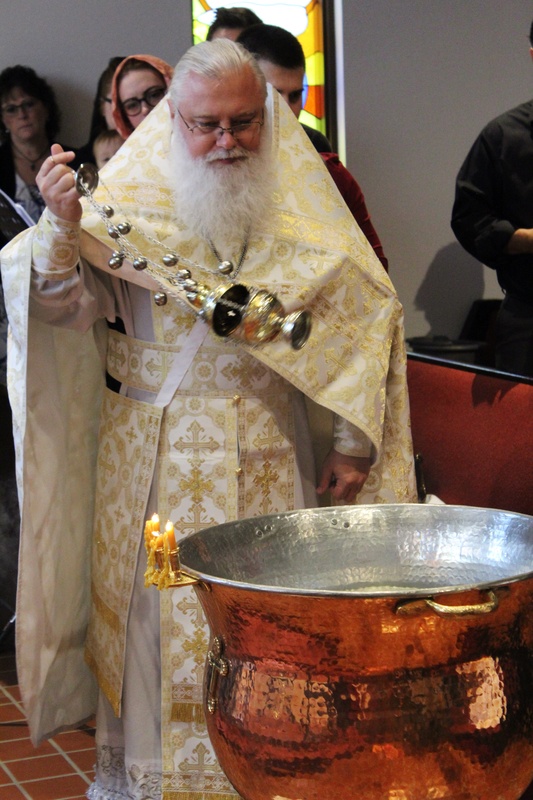 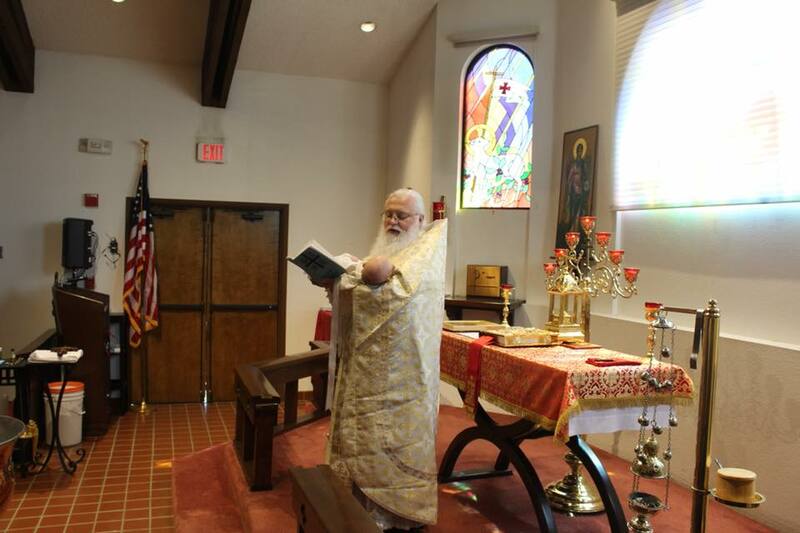 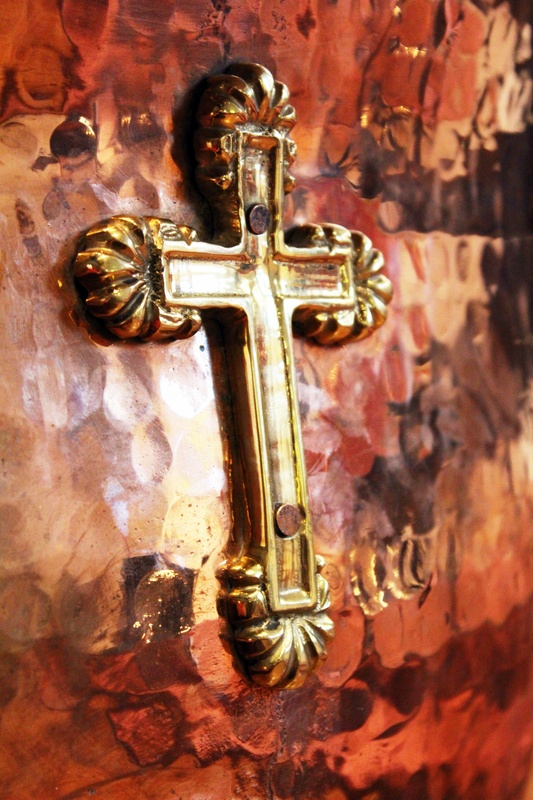 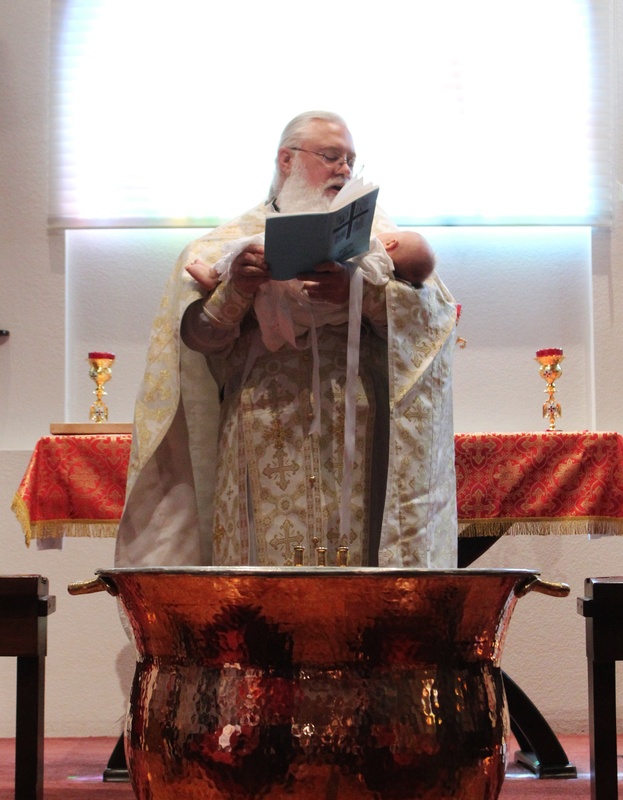 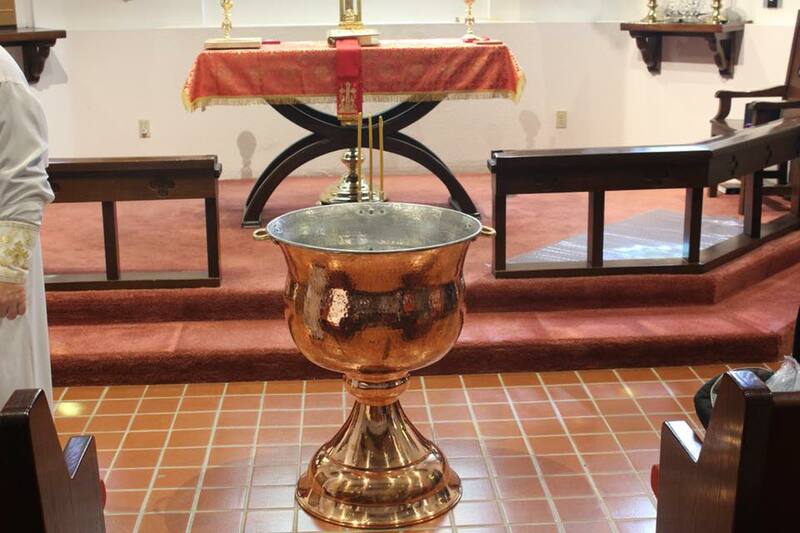 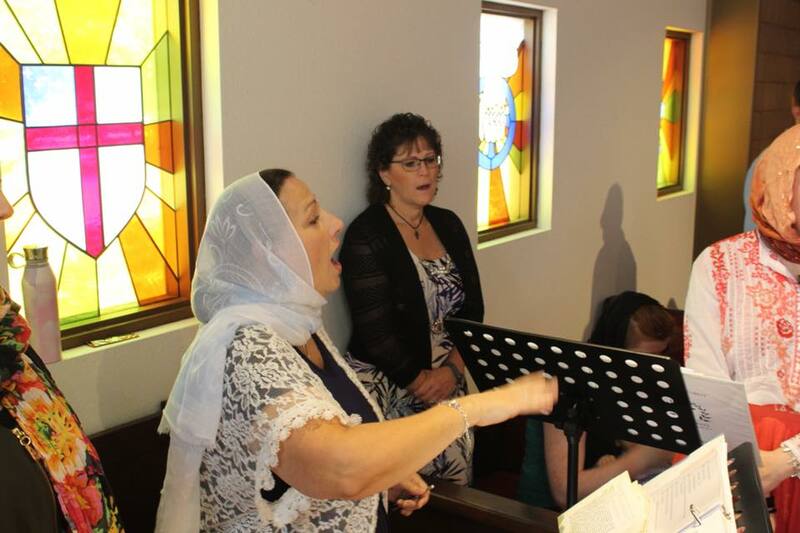 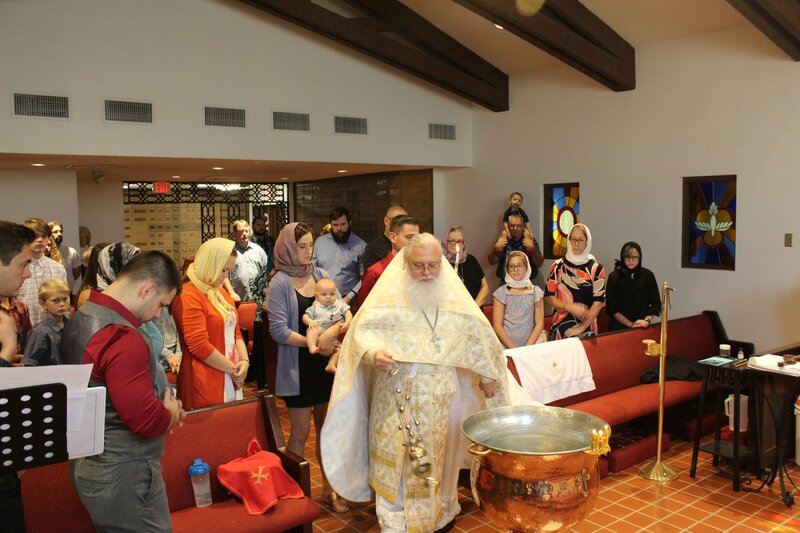 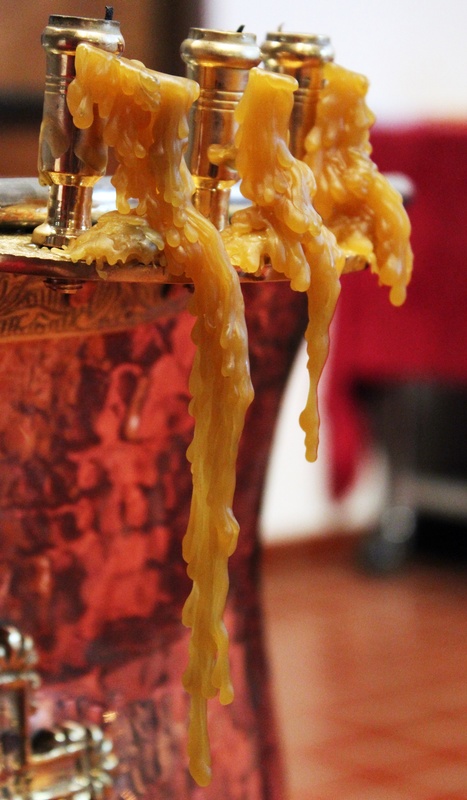 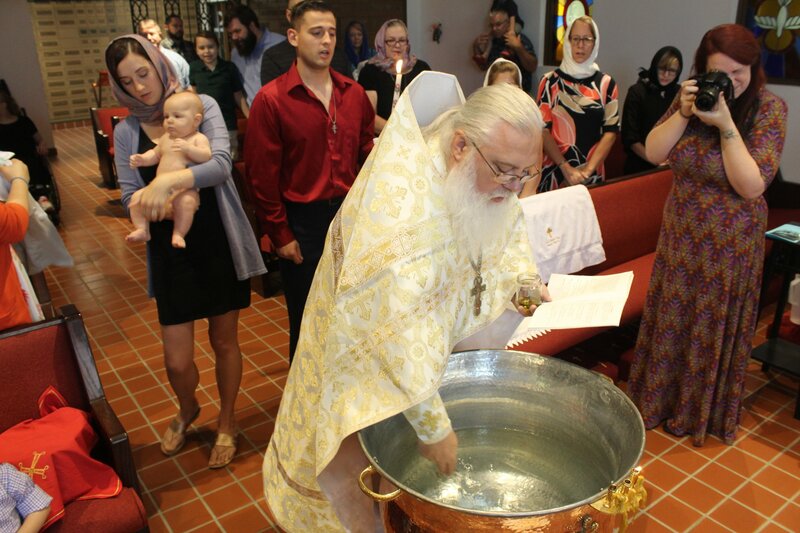 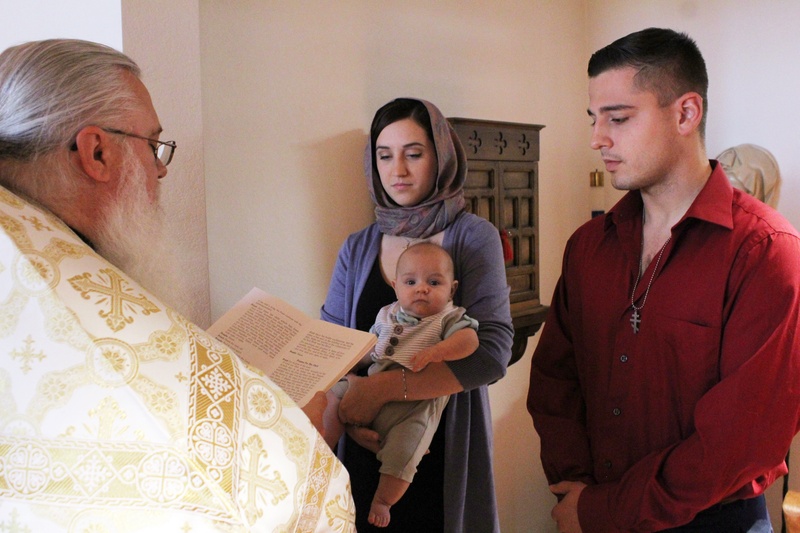 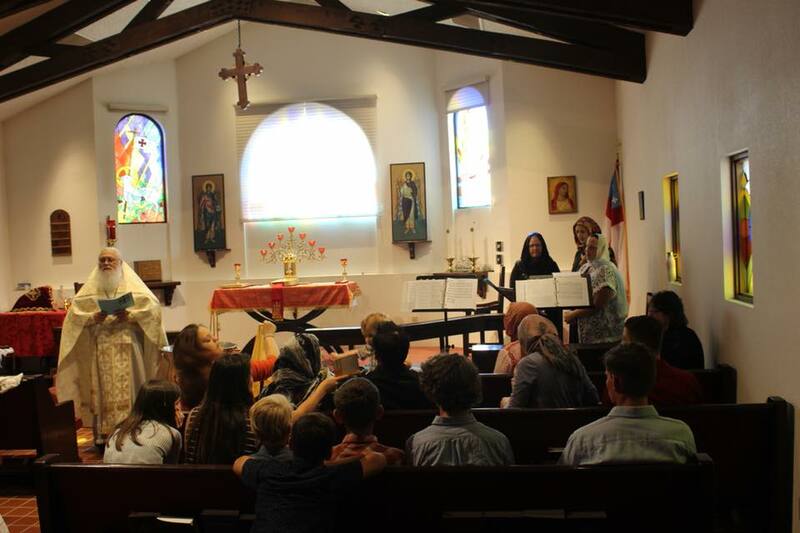 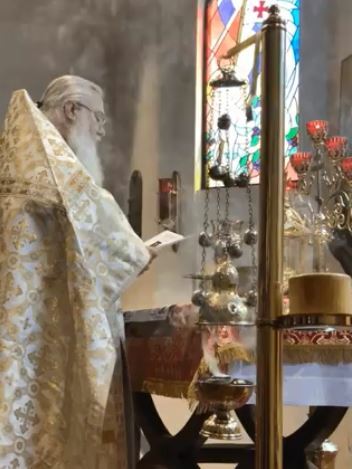 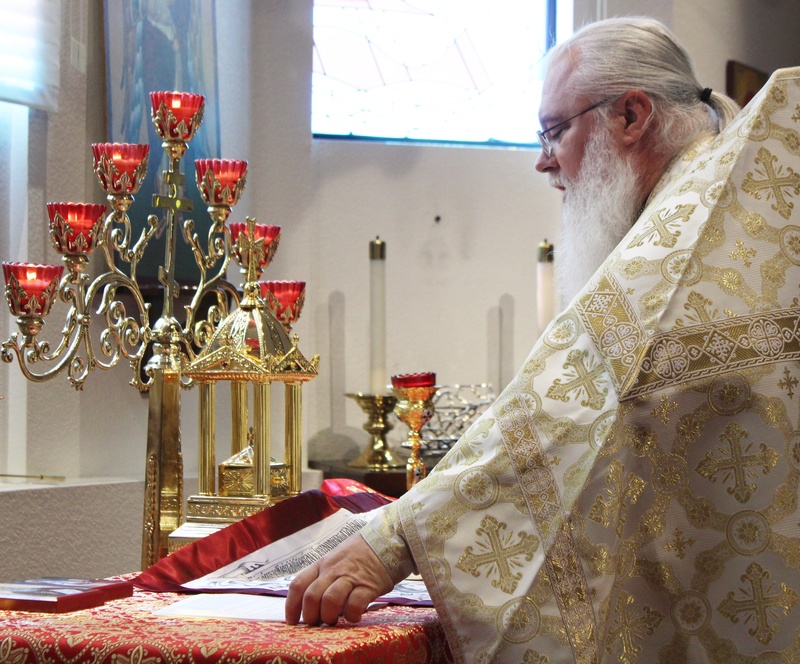 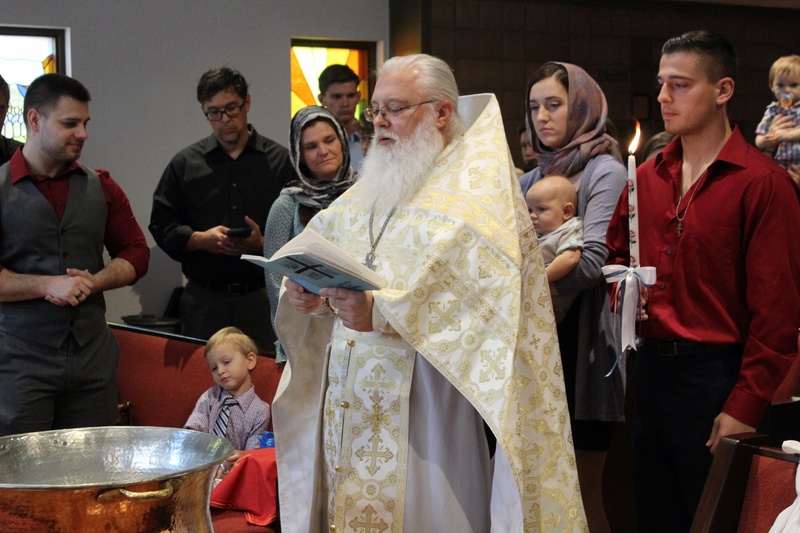 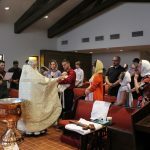 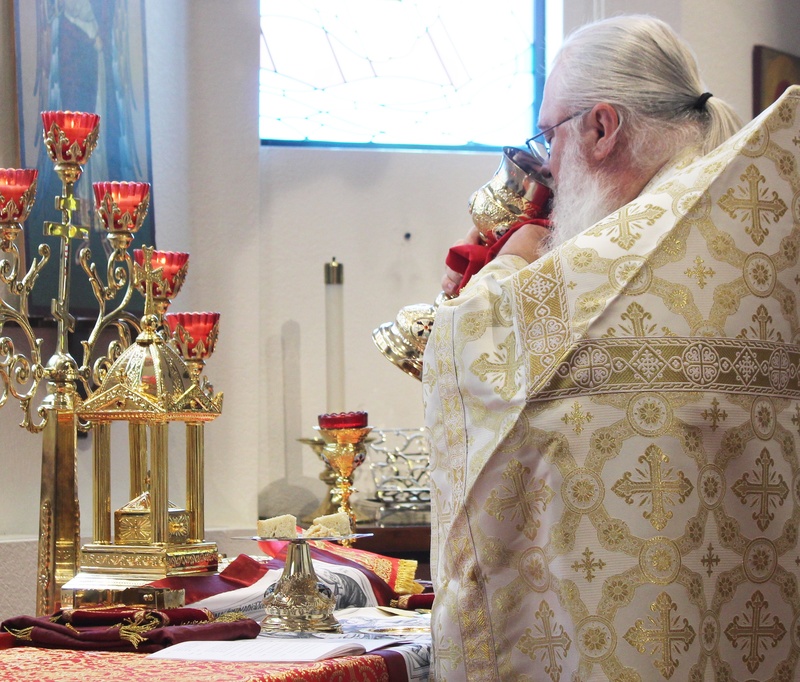 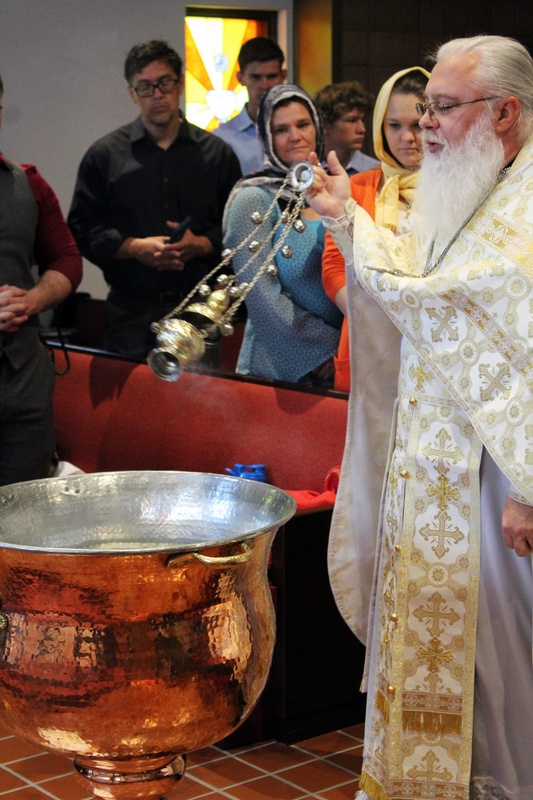 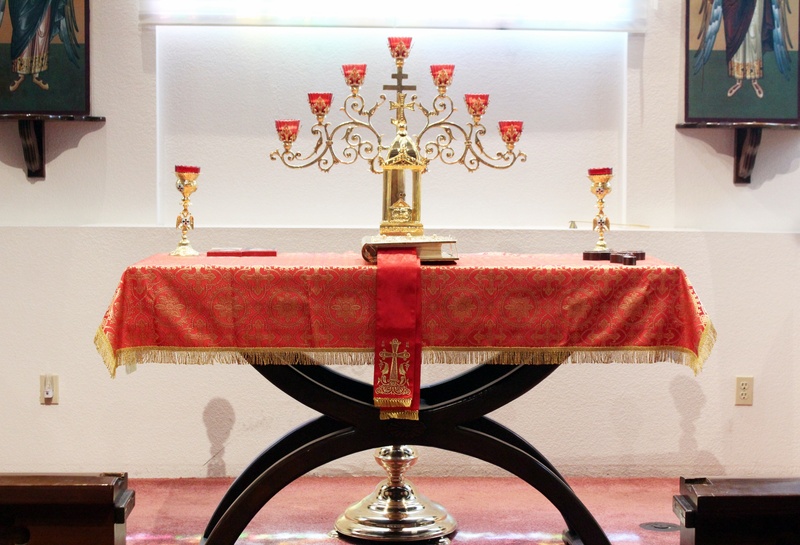 We broke in our new baptismal font, a traditional style Orthodox baptismal font recently received from Greece, and in the gracious chapel of St. Mary the Virgin at All Saints of the Desert Episcopal Church, celebrated the ancient rite of Holy Baptism, Holy Chrismation, and Holy Communion. 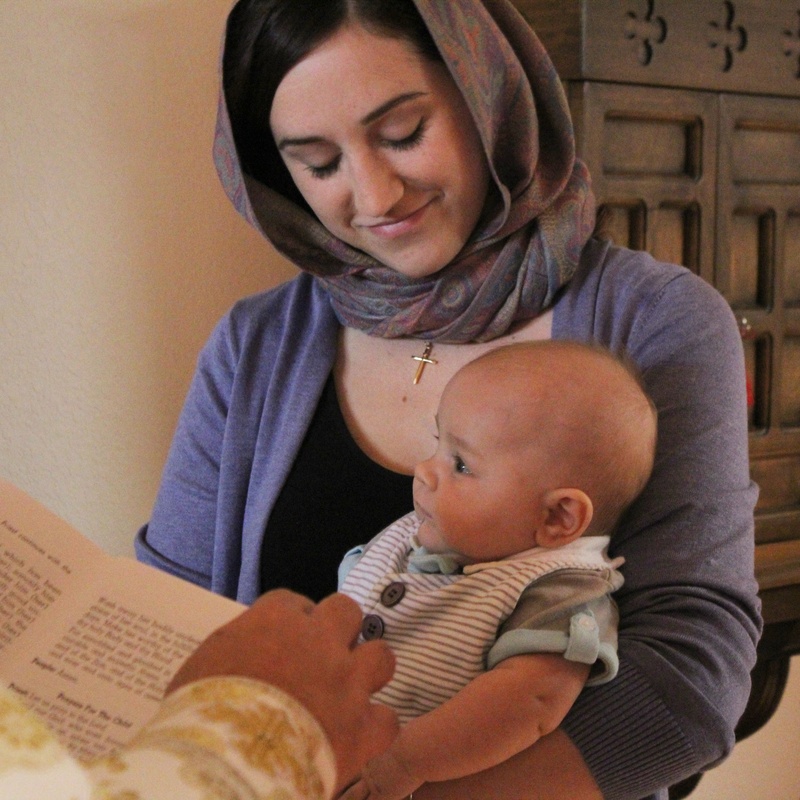 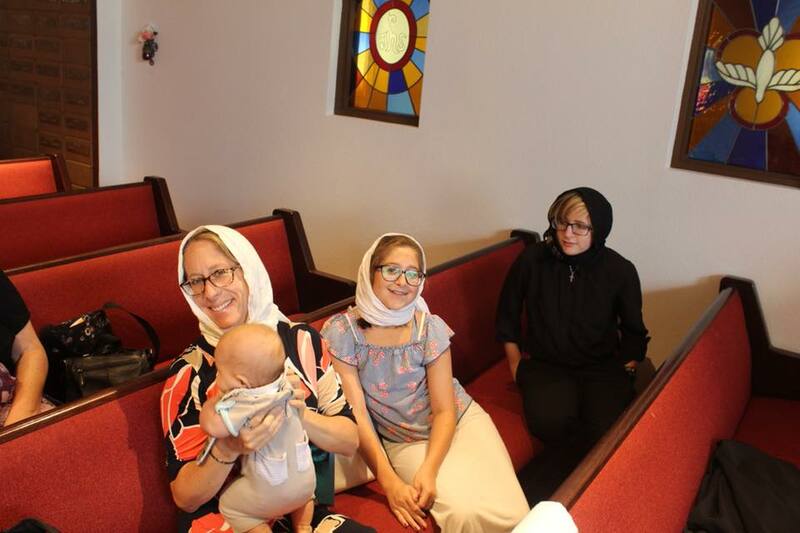 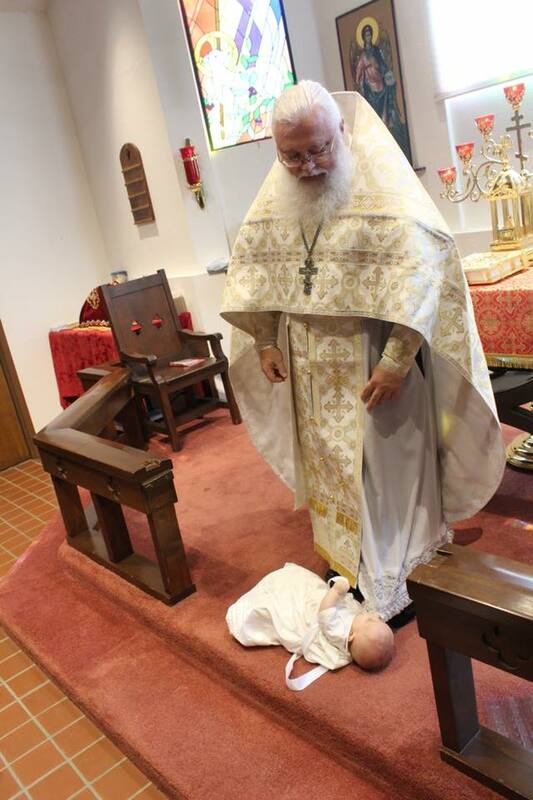 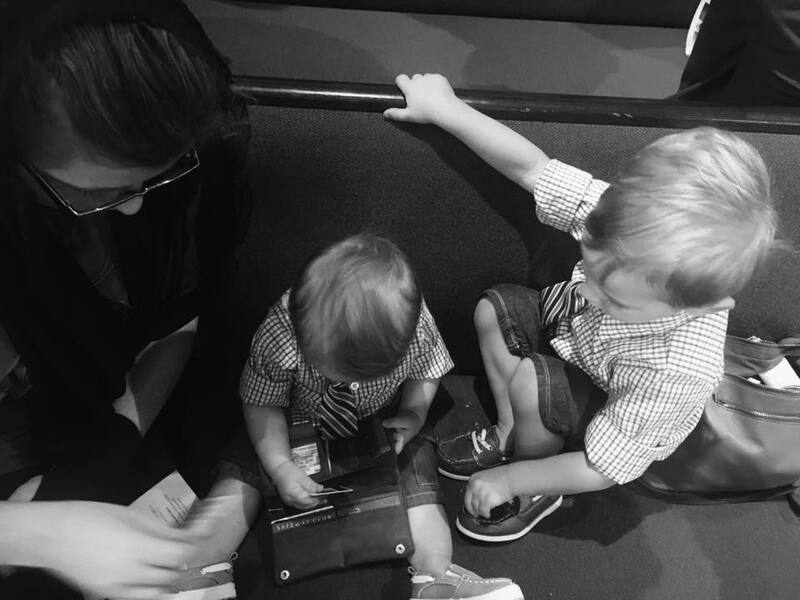 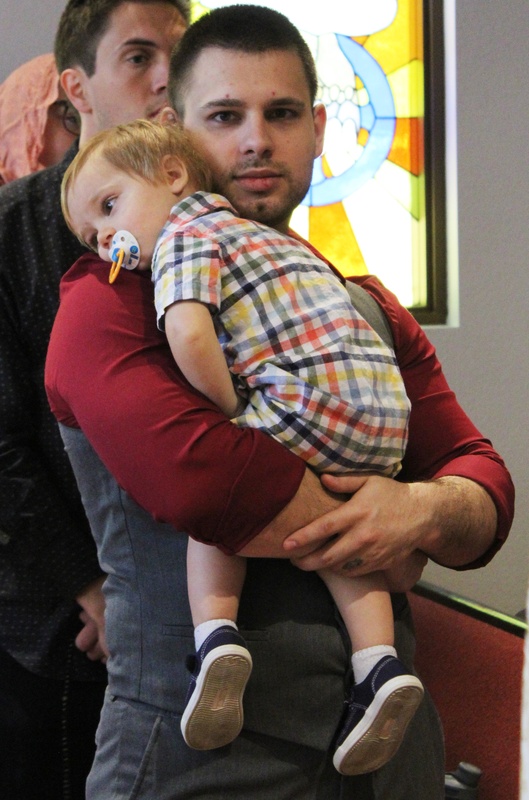 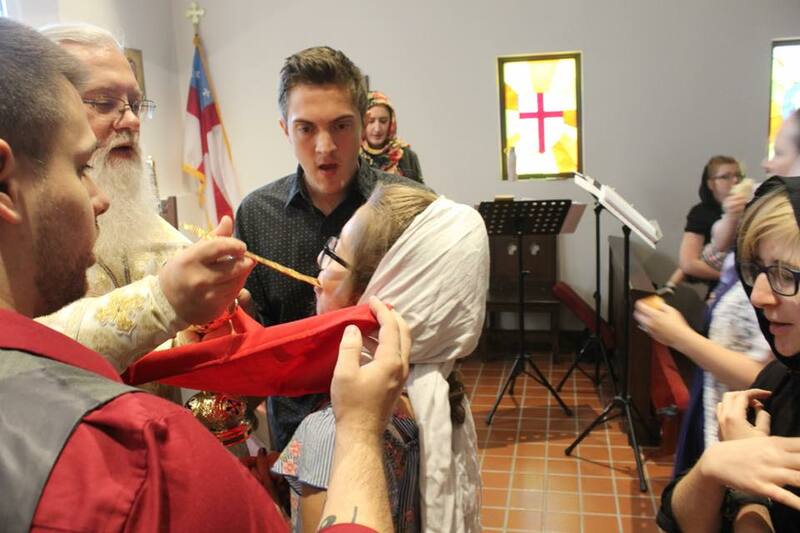 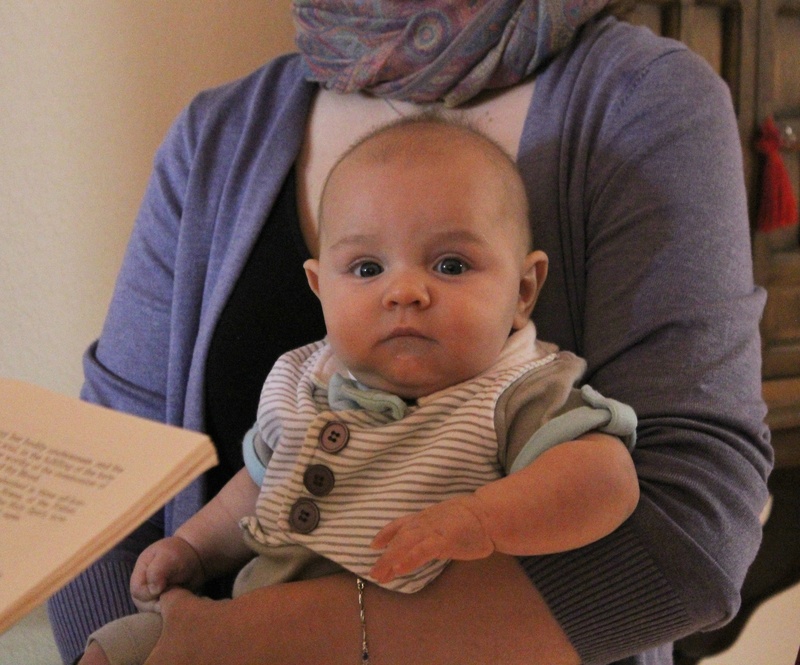 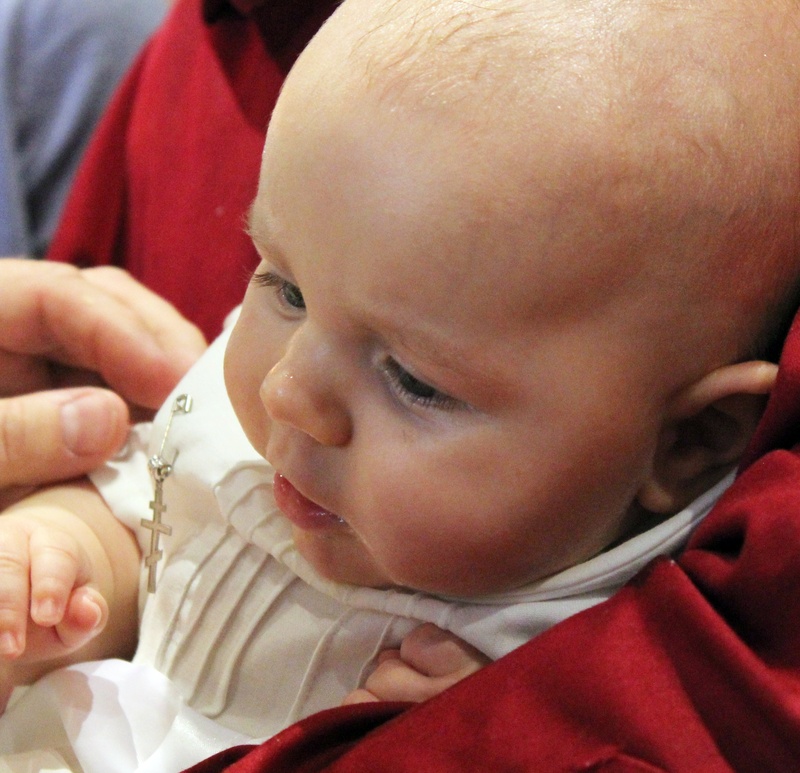 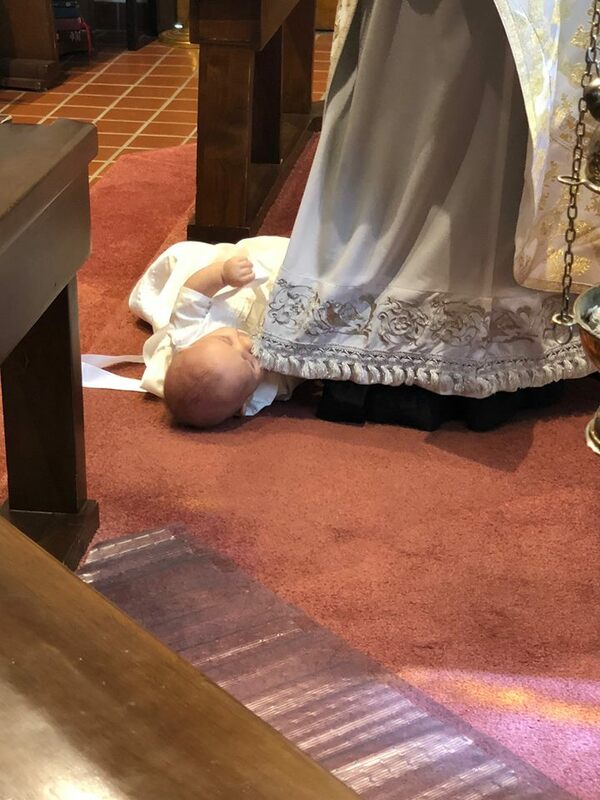 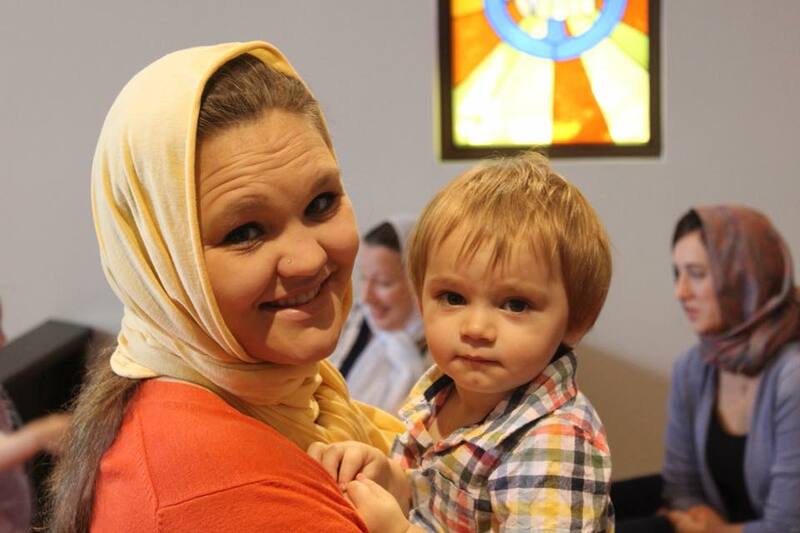 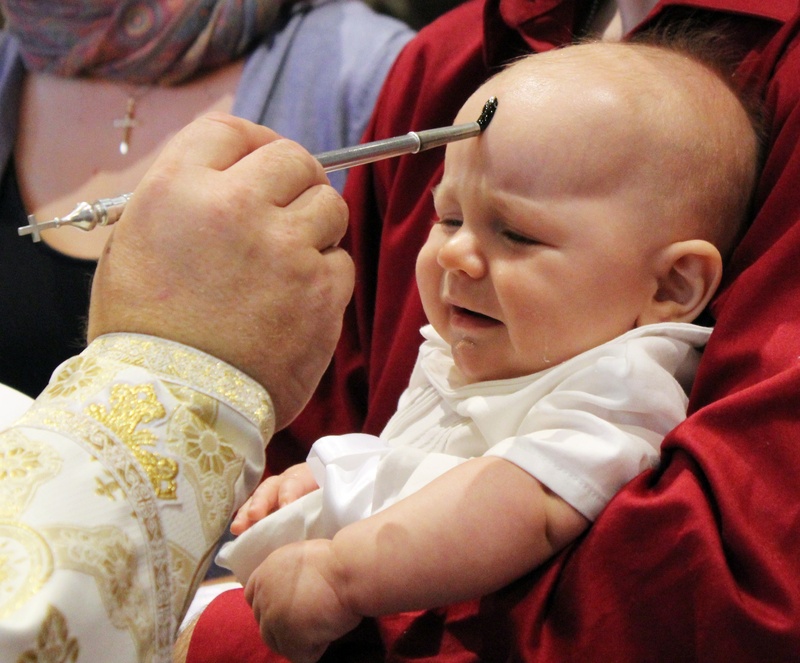 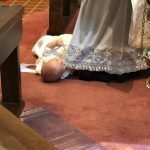 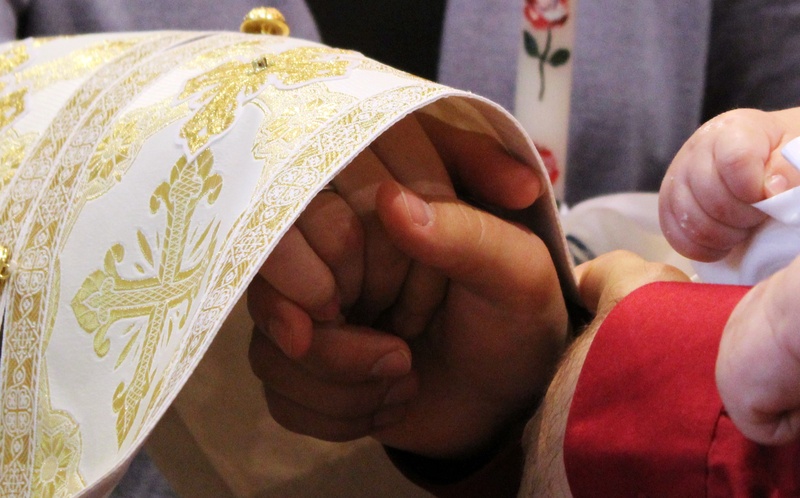 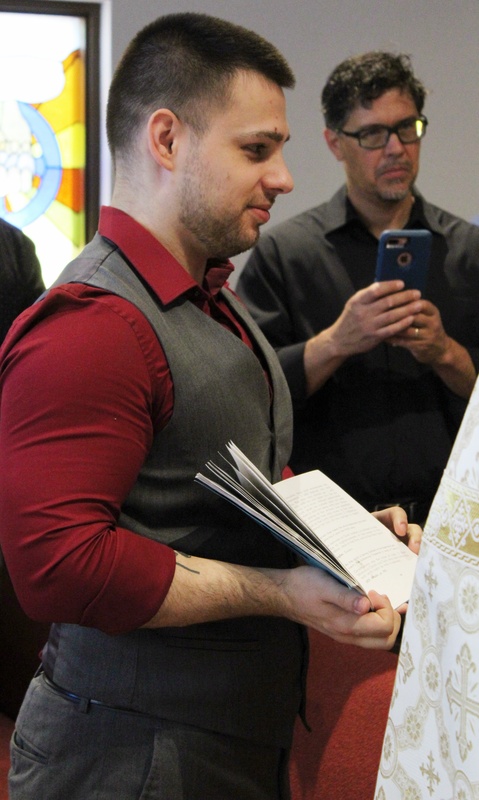 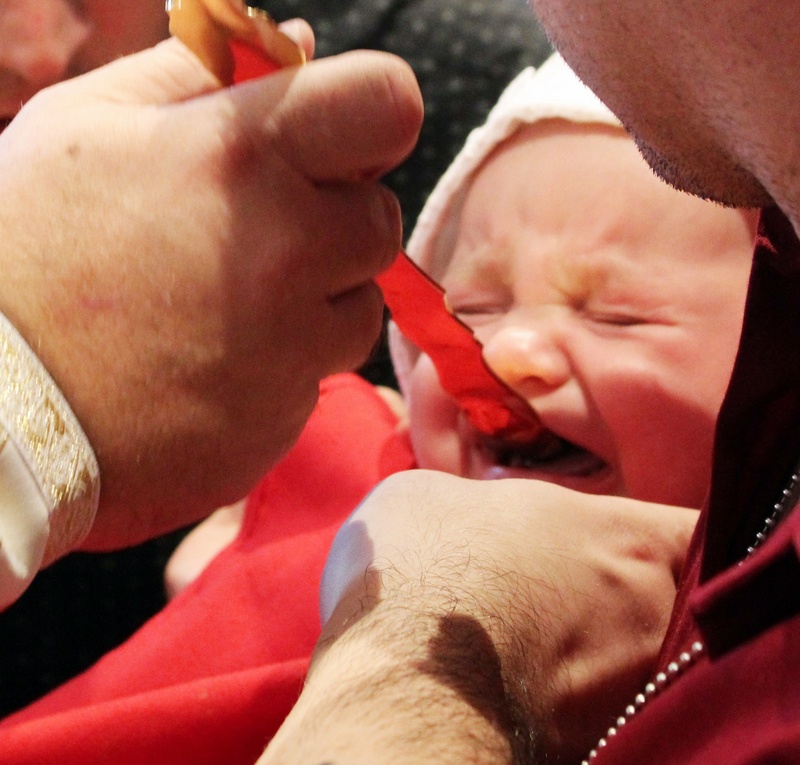 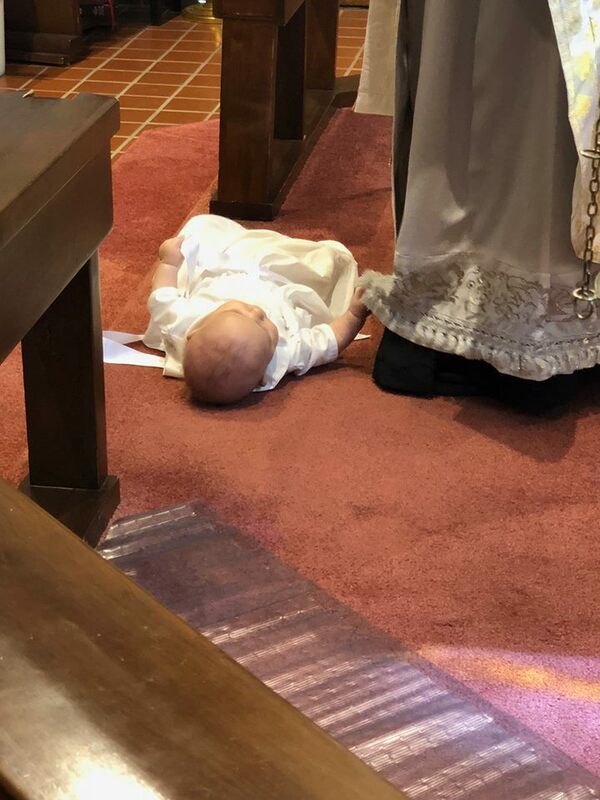 The newly illumined warrior of Christ, Olav, was an attentive and well behaved baby, and even clung to the vestments of the priest at several places during the service! 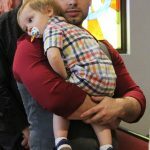 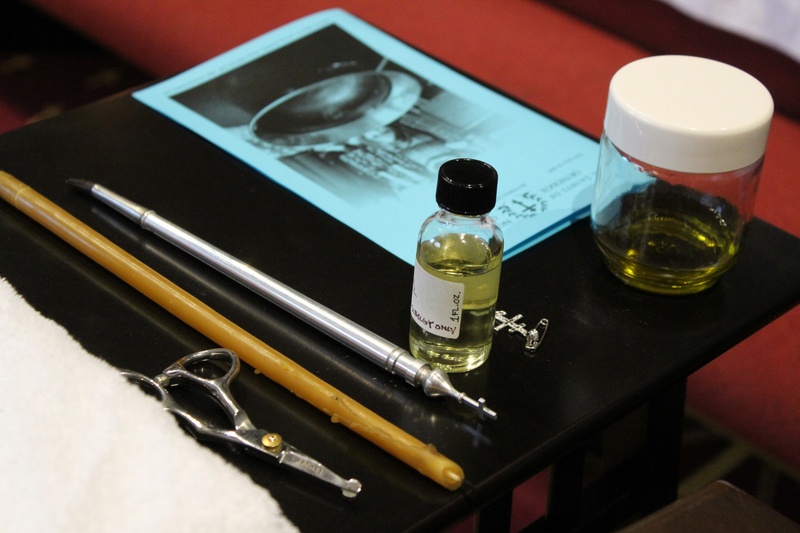 Here is another gallery of photos of the day. 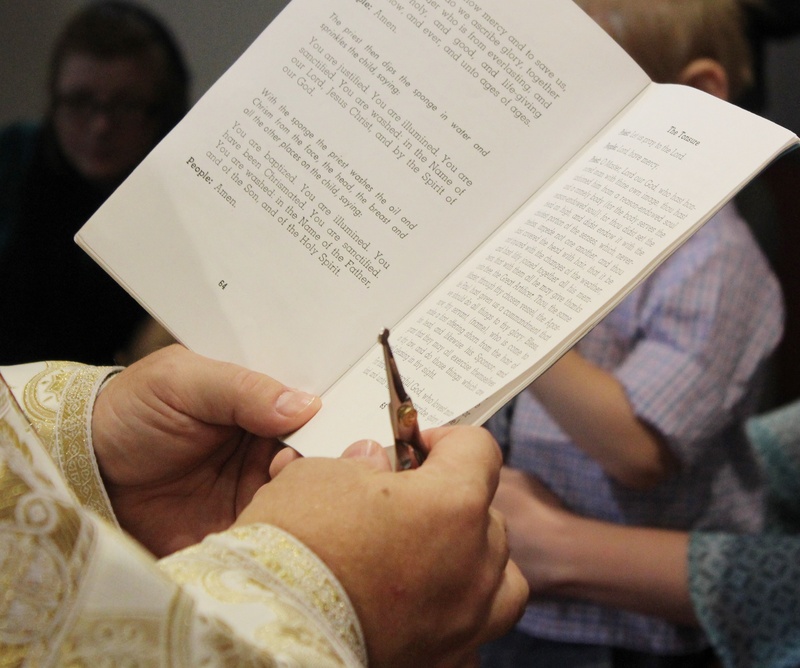 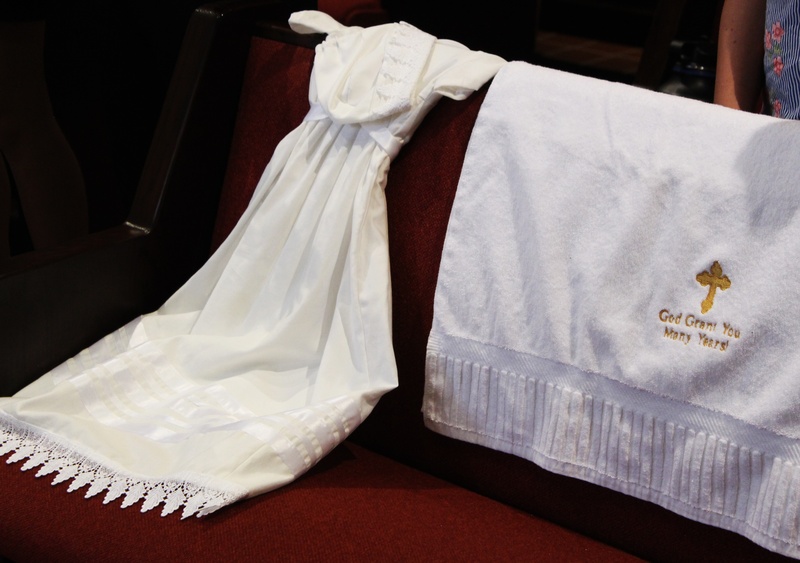 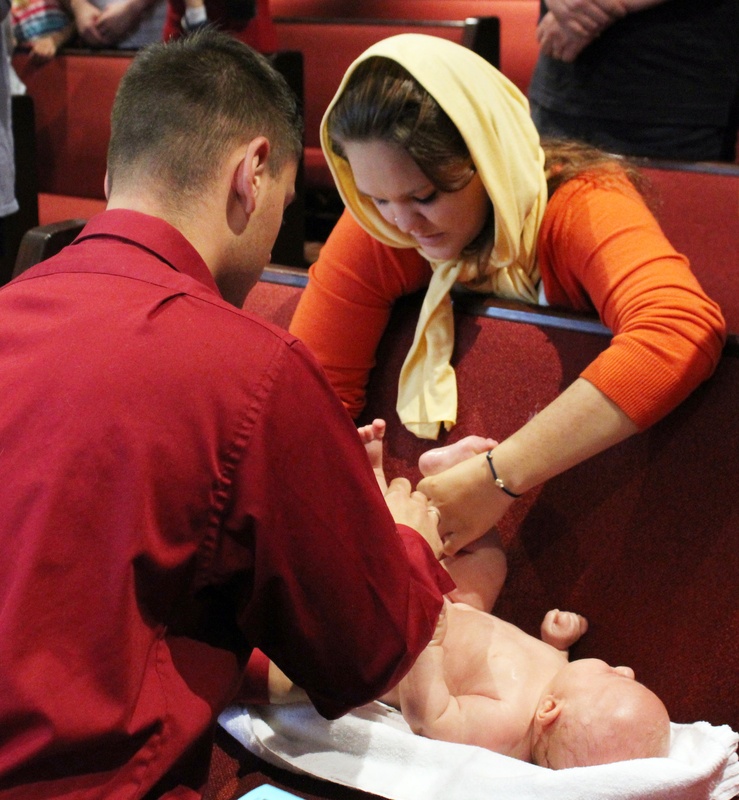 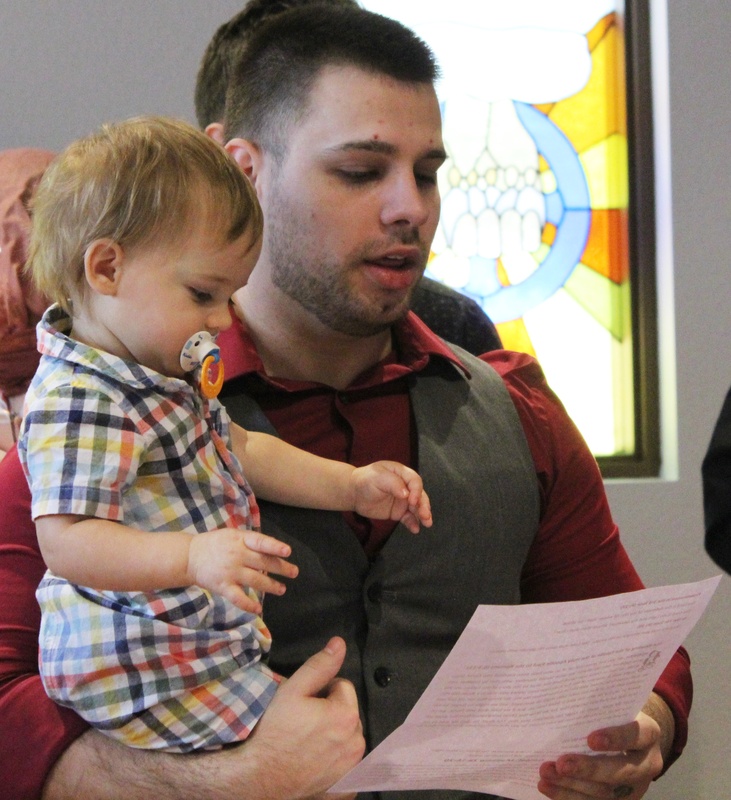 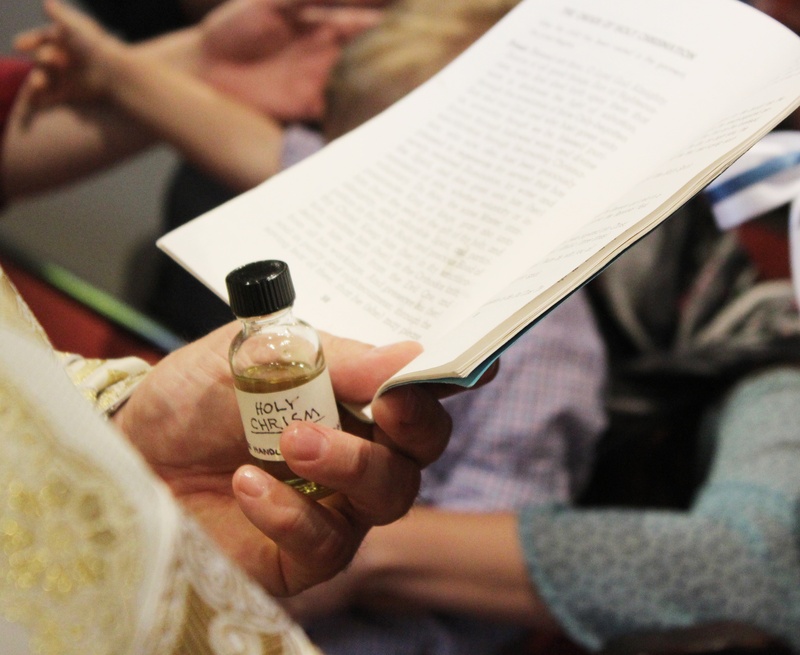 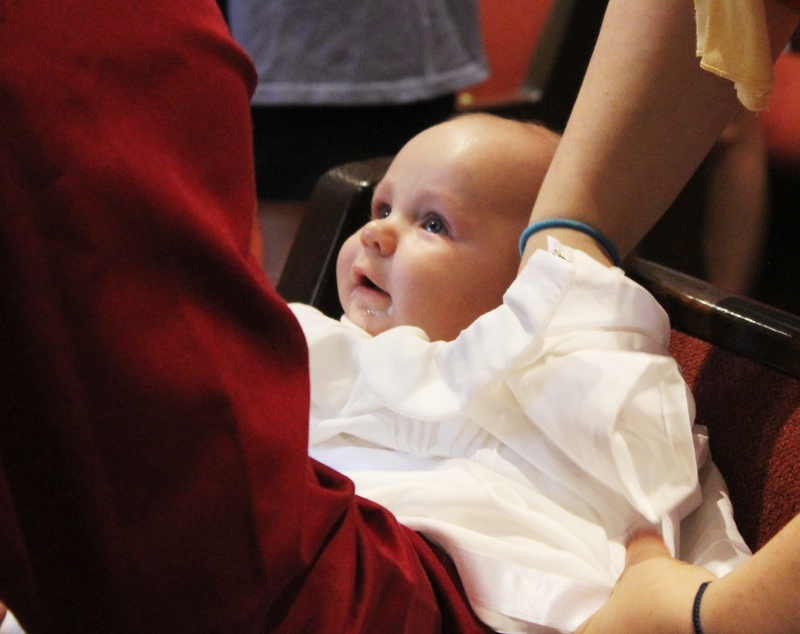 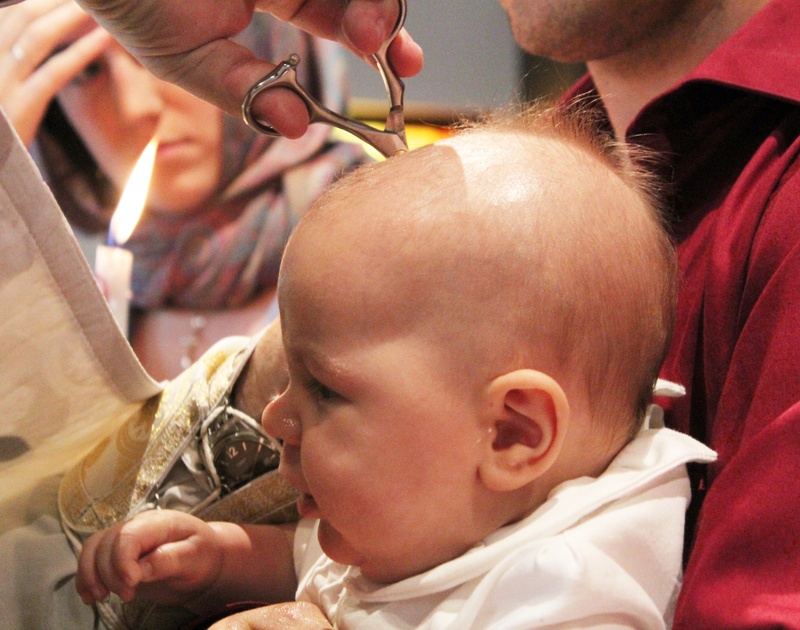 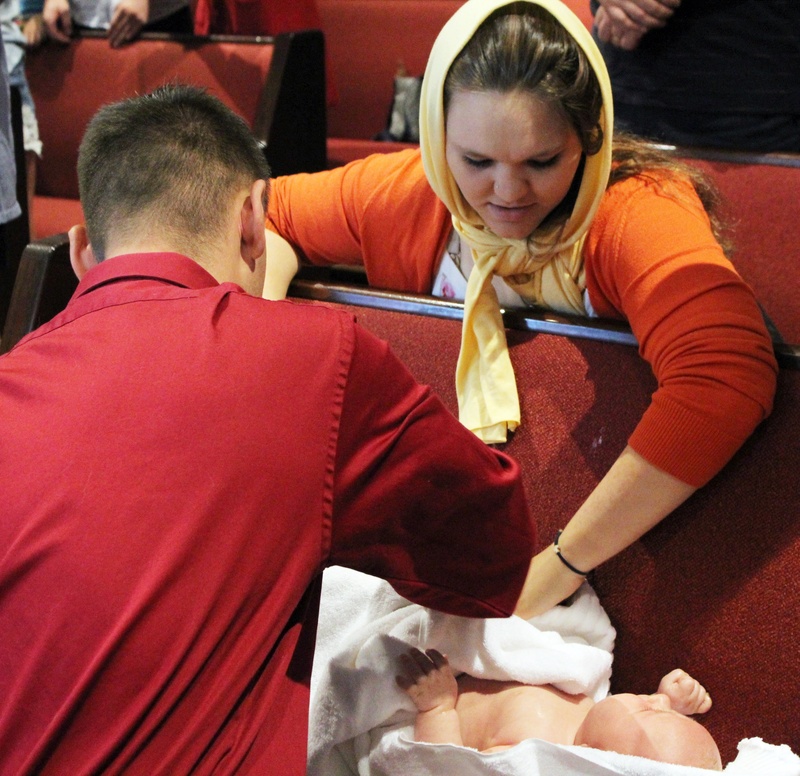 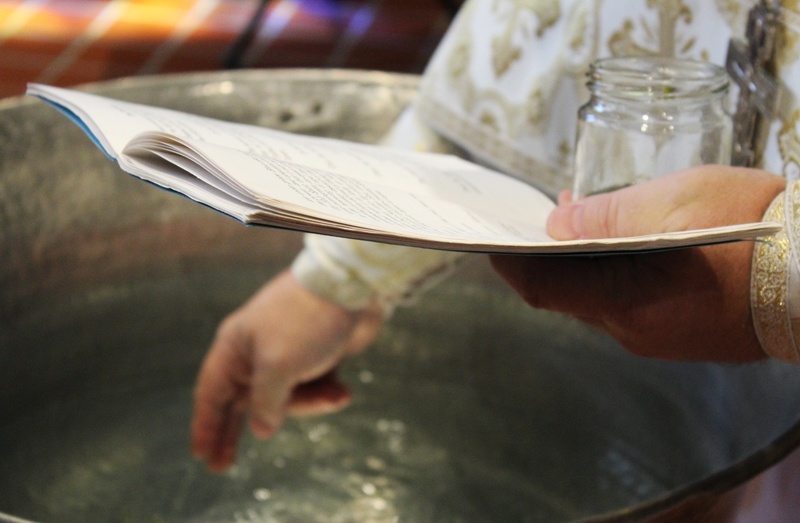 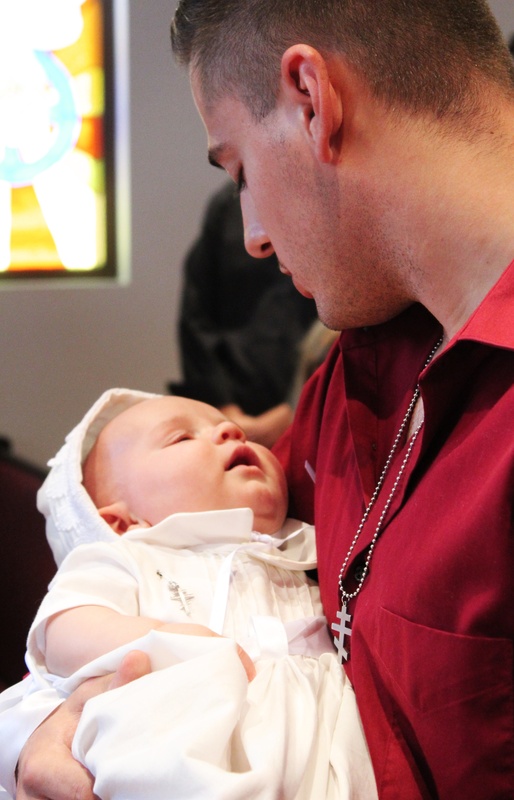 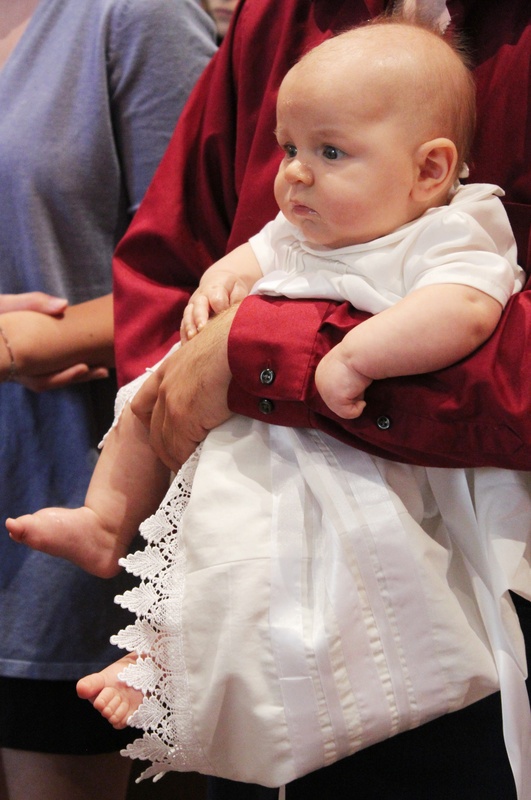 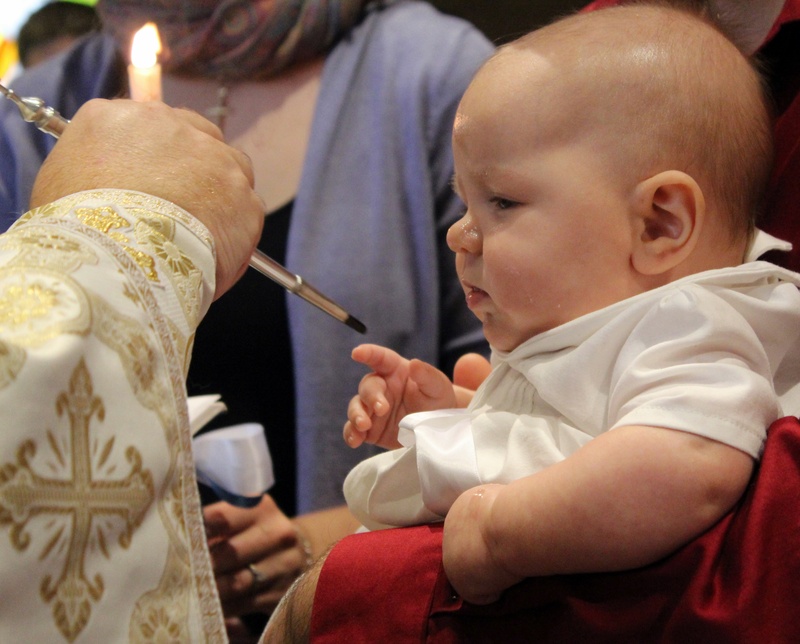 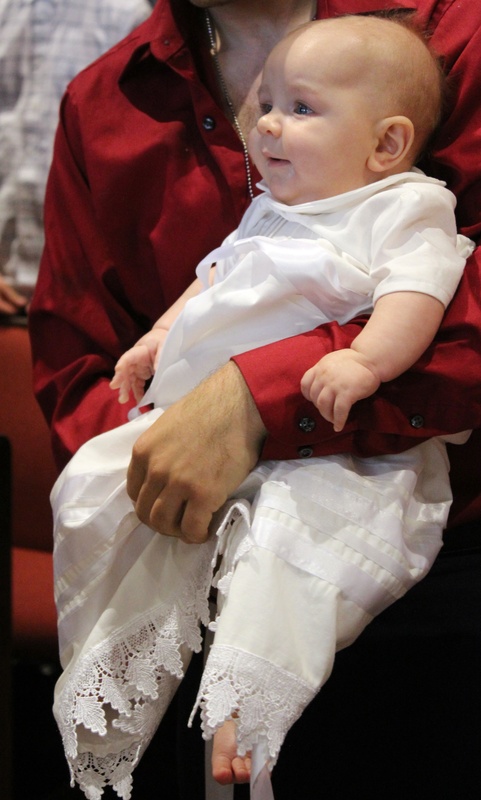 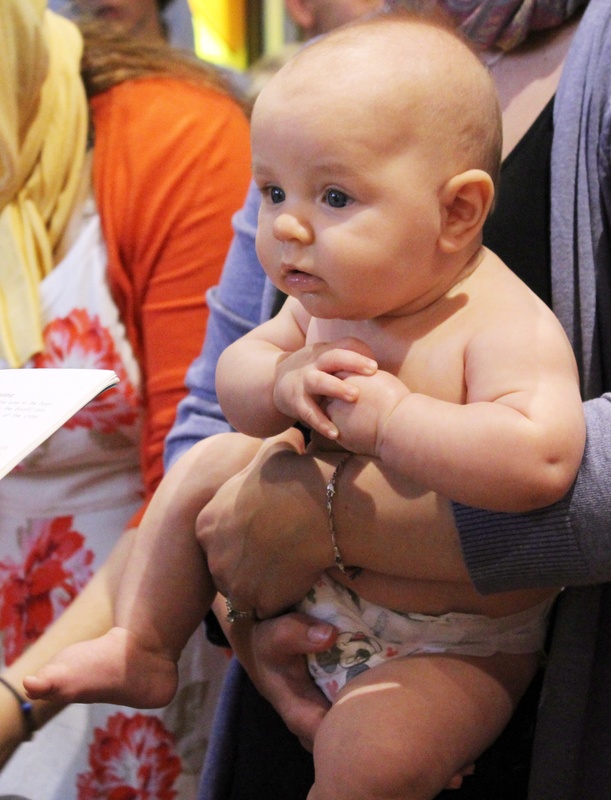 Thank you to everyone who contributed to taking such great pictures of our inaugural infant baptism! 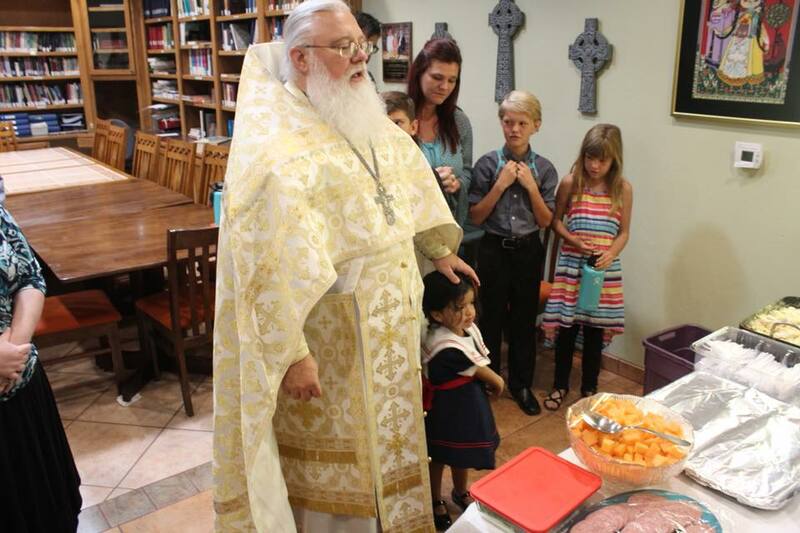 Father blesses the food with a little help.